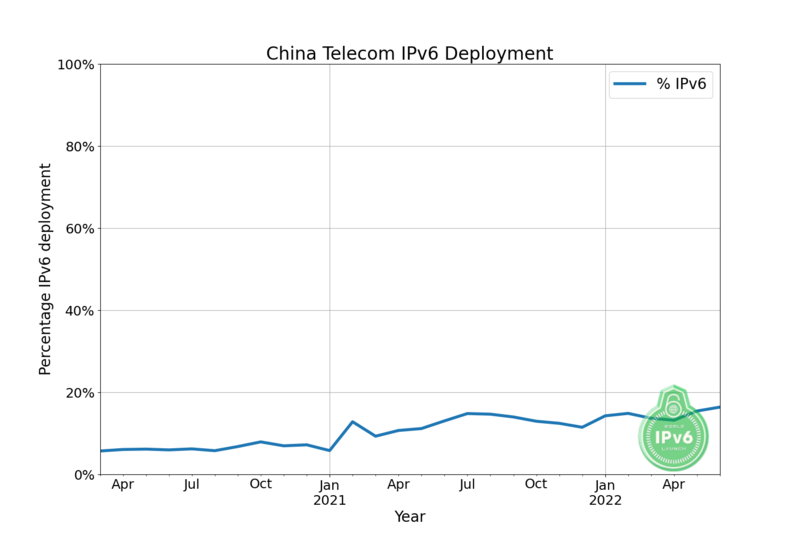 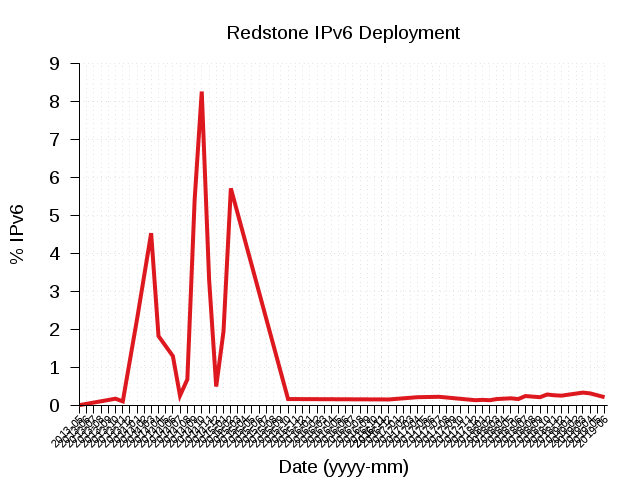 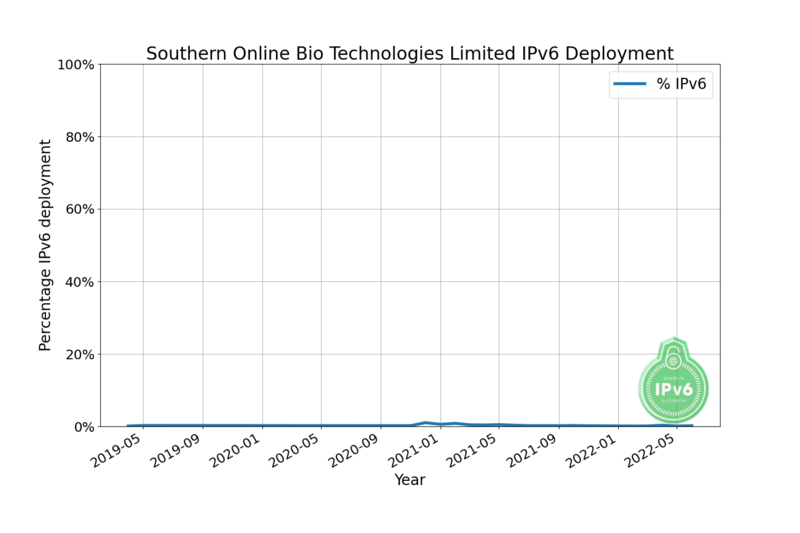 The measurement activities below track different aspects of IPv6 deployment on the global Internet. The different measurements show various dimensions of the answer to the question of how broadly IPv6 is being used on the global Internet. The tables, charts, and links provide answers to questions such as: which websites have enabled IPv6, how many visitors to a specific website are using IPv6, how many networks have significant IPv6 deployment, and how much traffic at an Internet exchange is using IPv6? 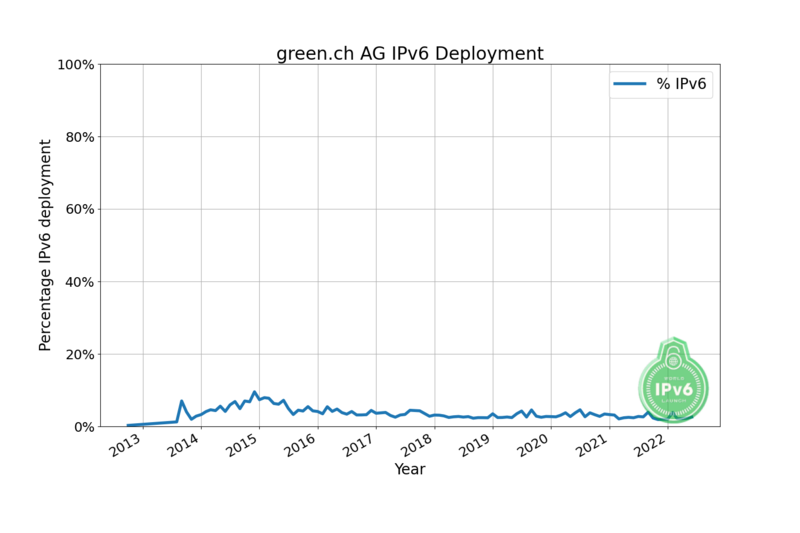 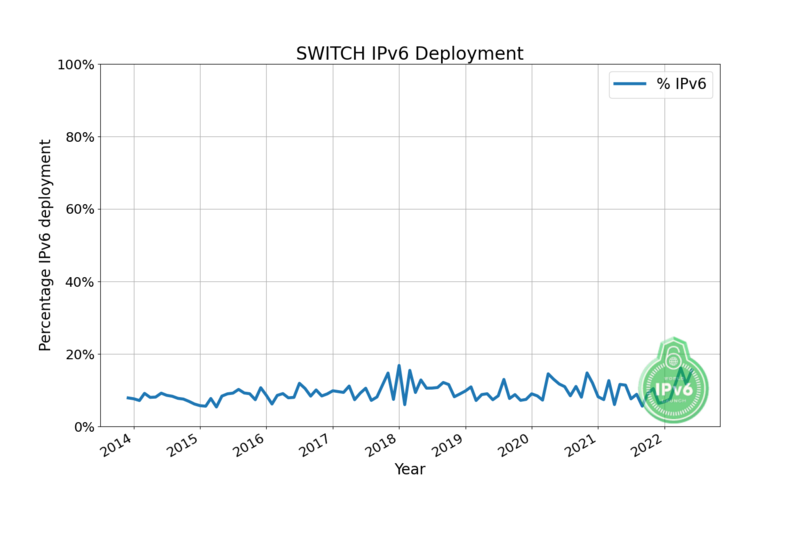 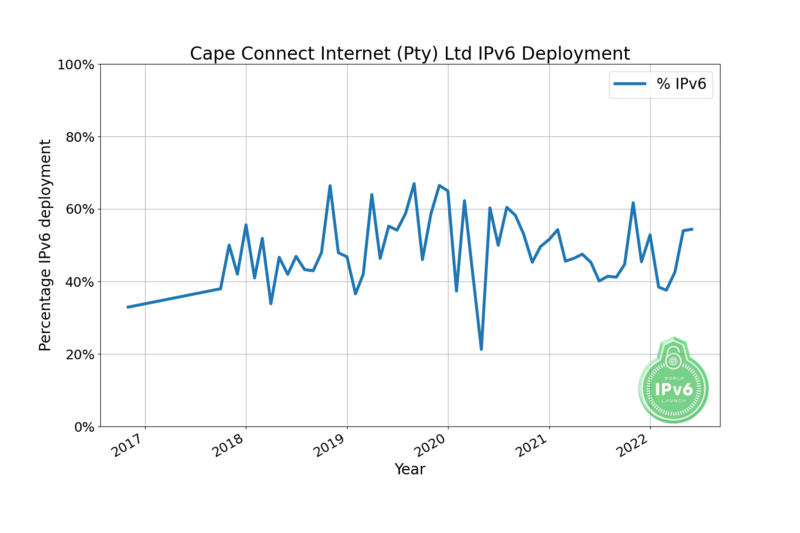 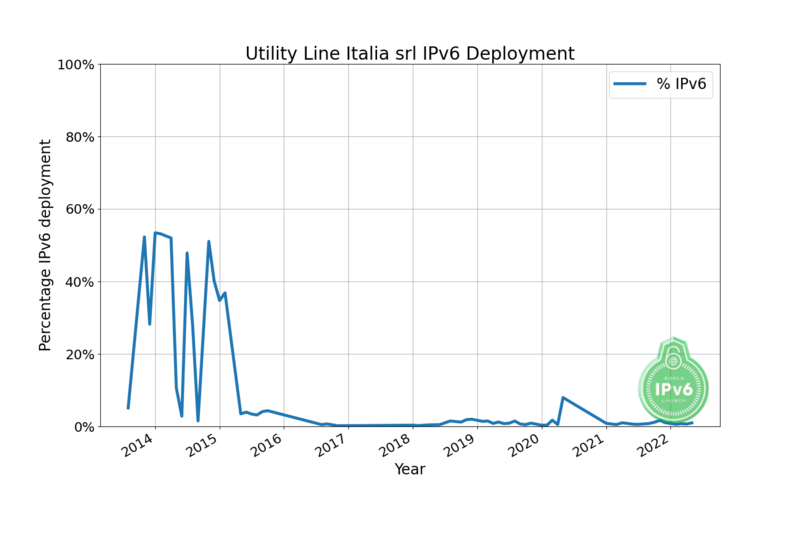 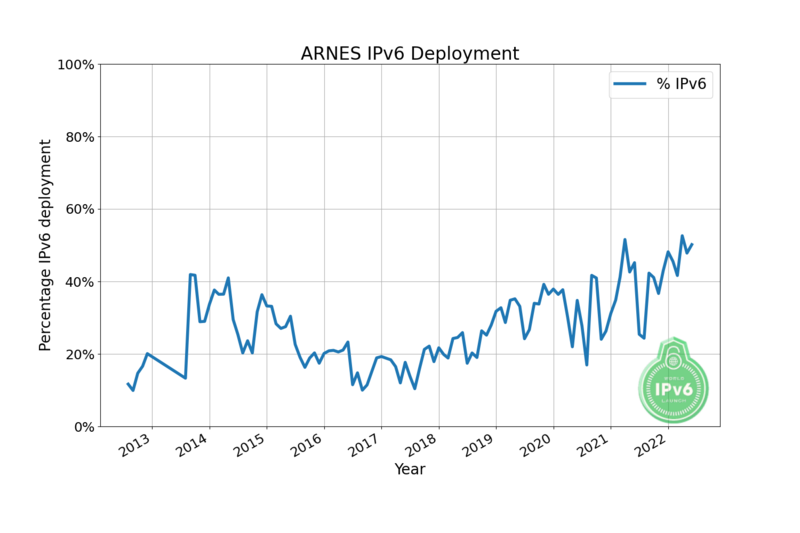 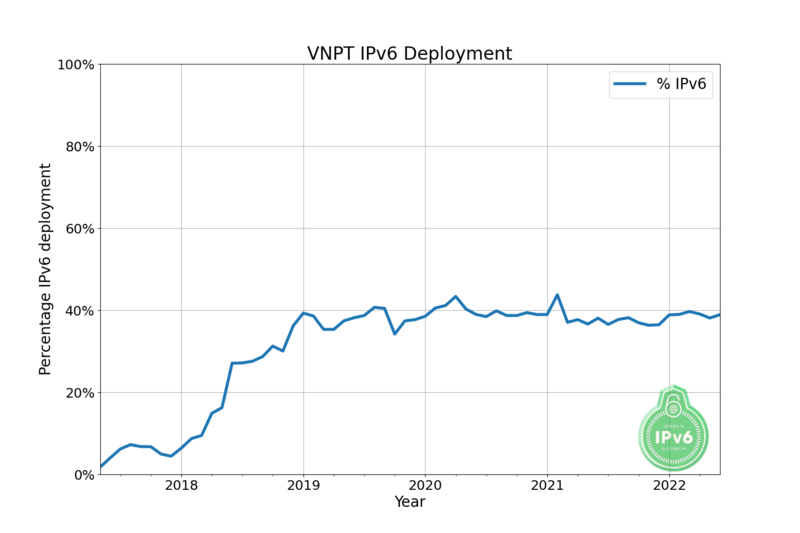 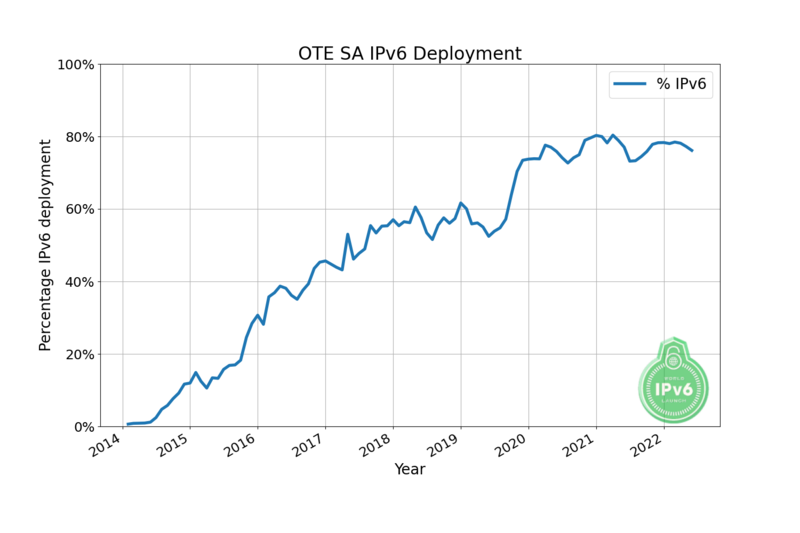 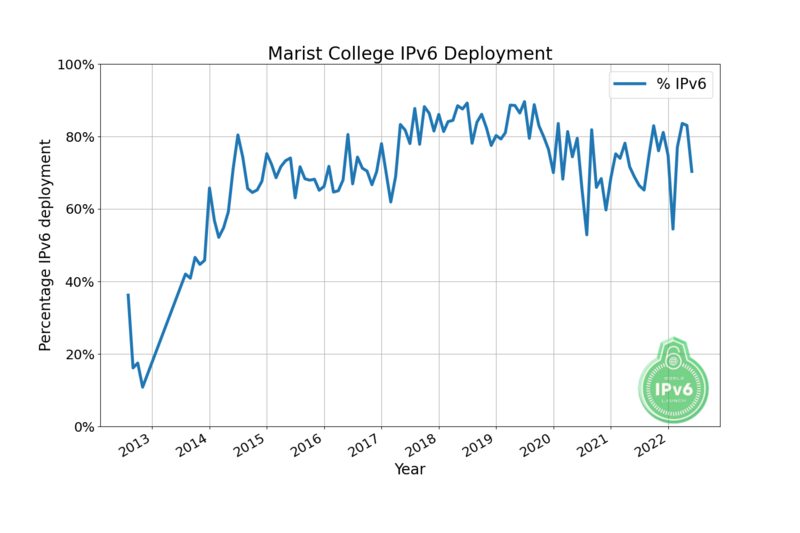 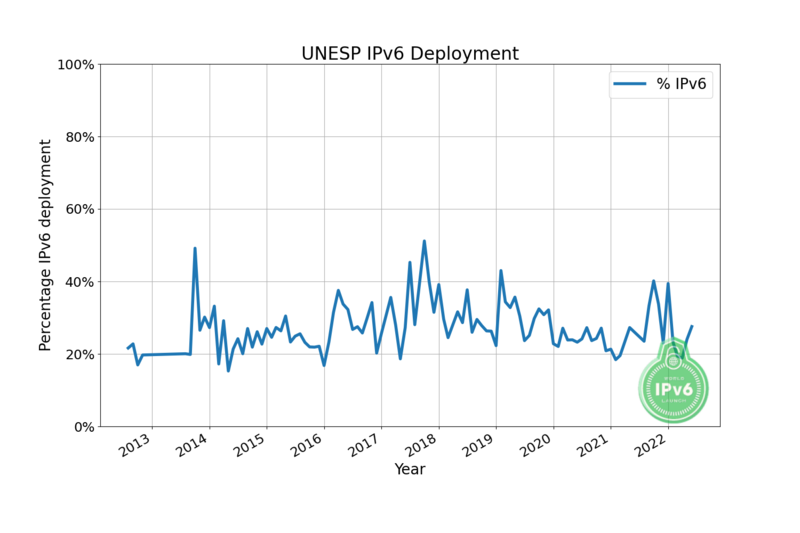 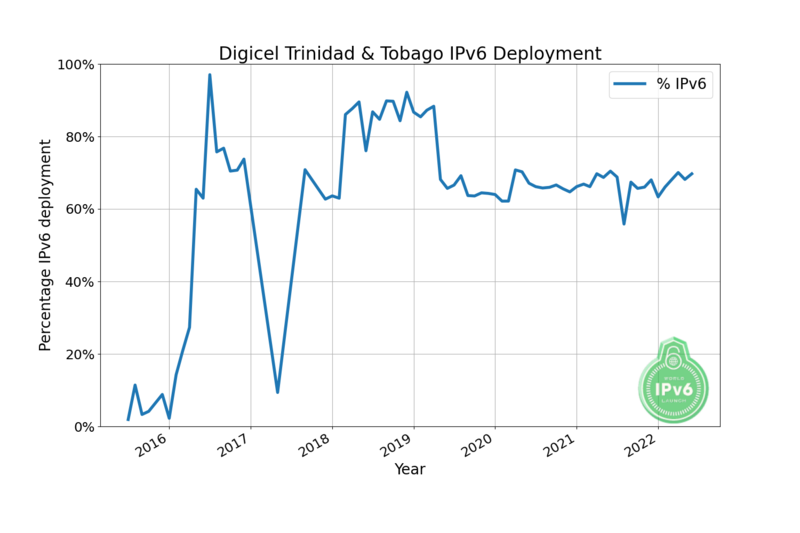 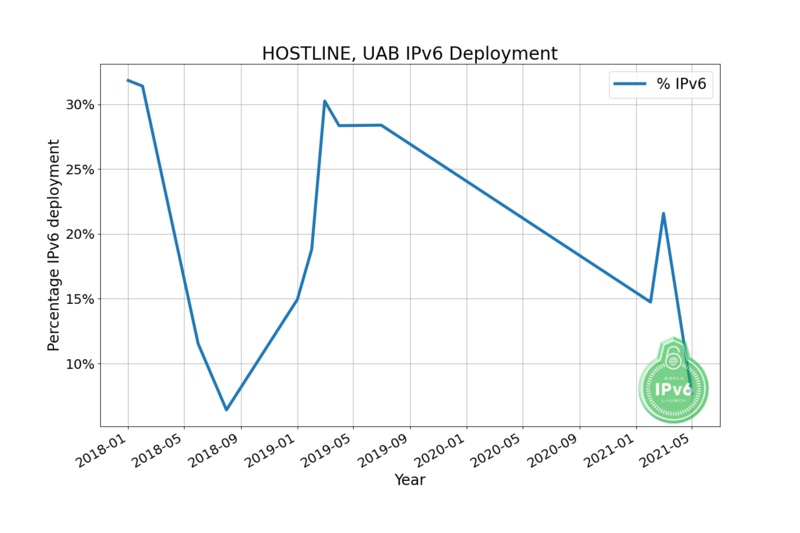 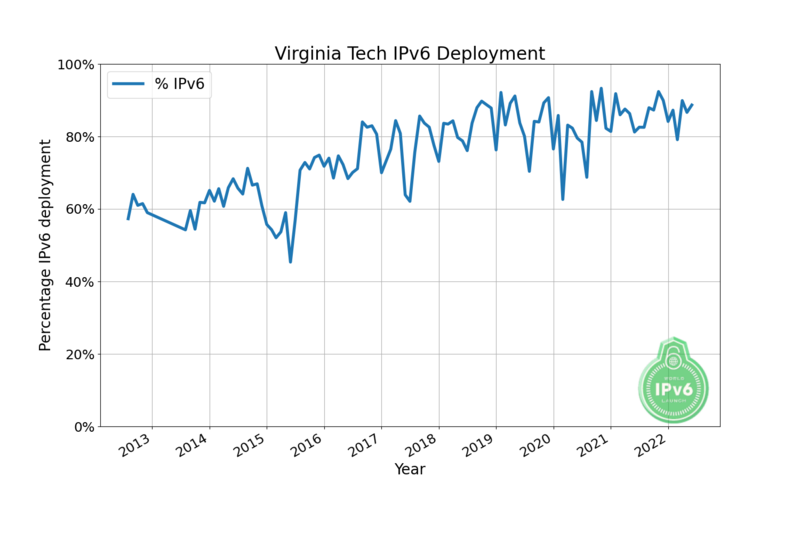 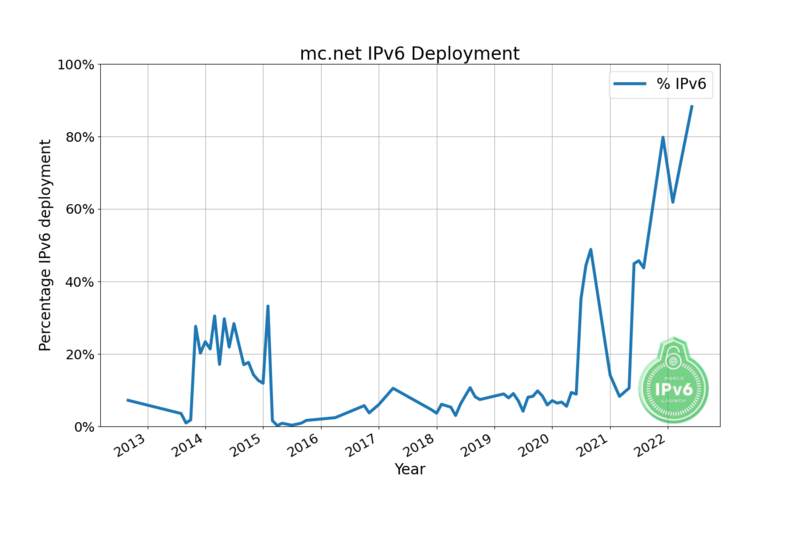 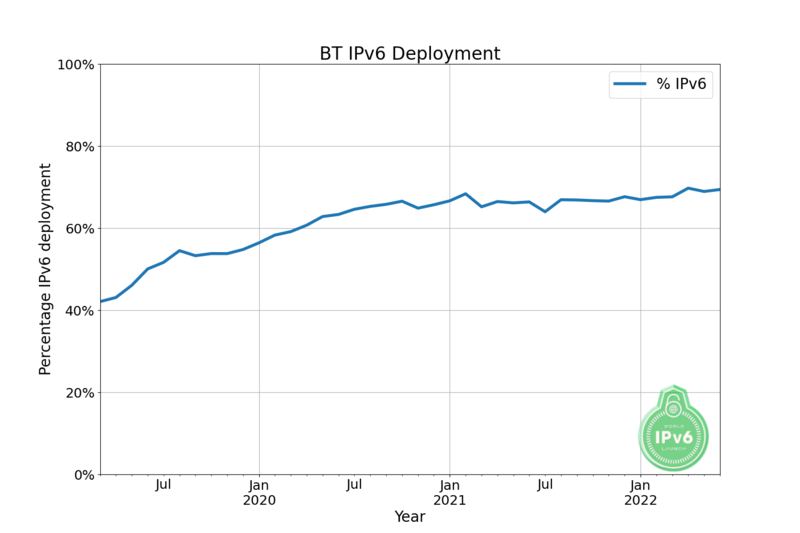 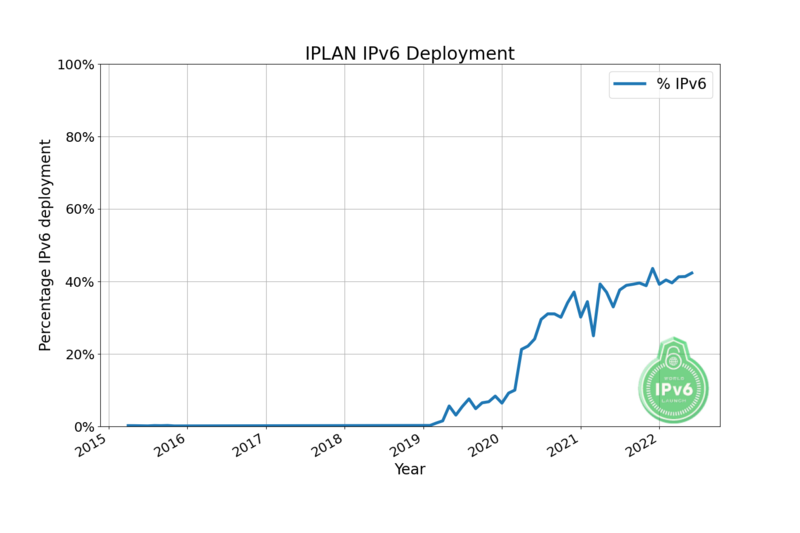 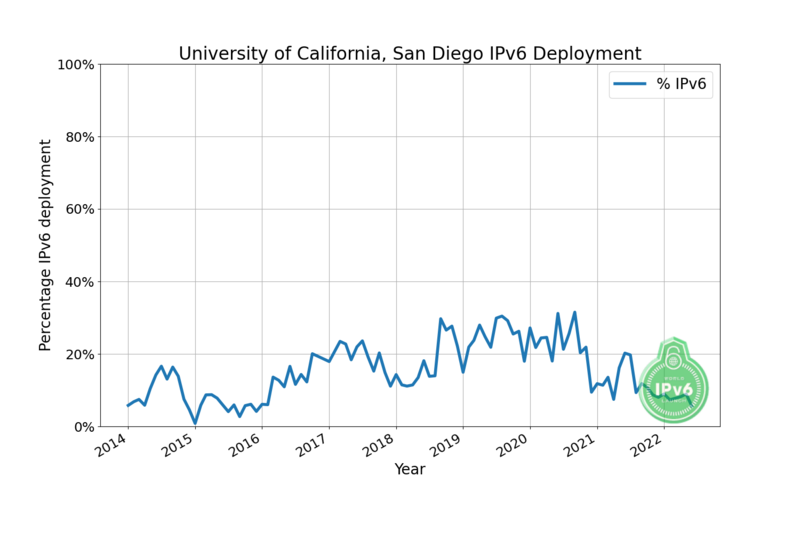 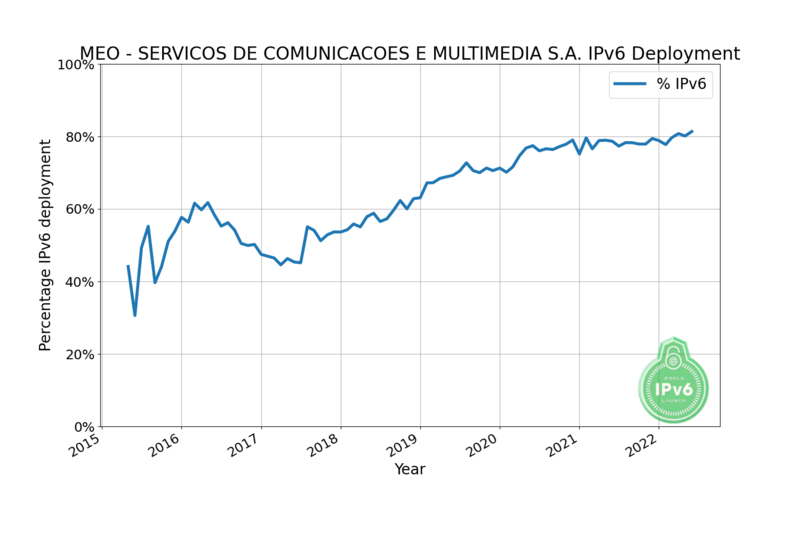 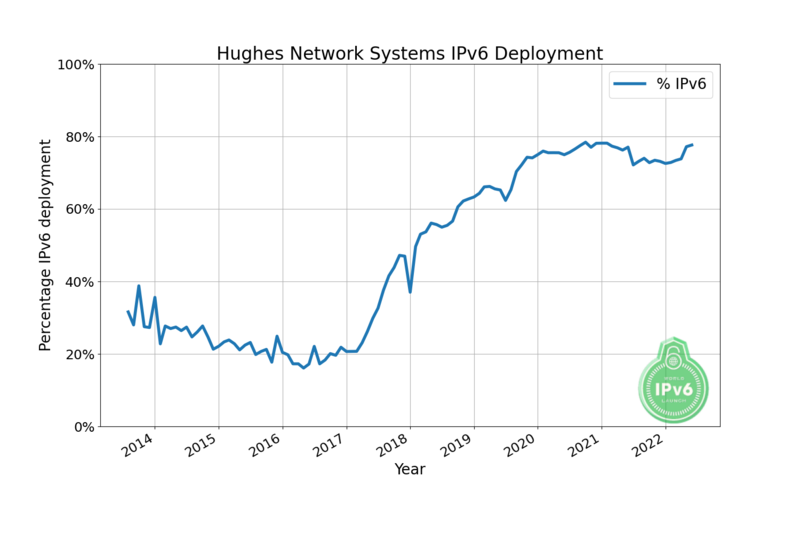 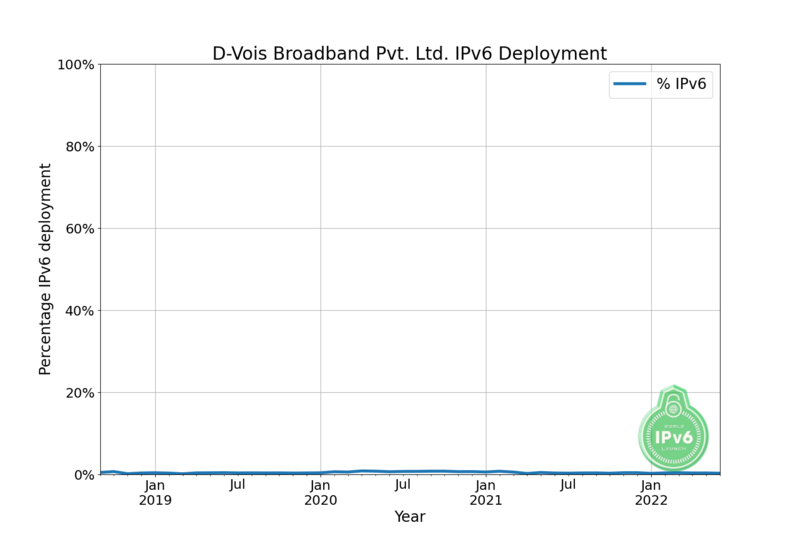 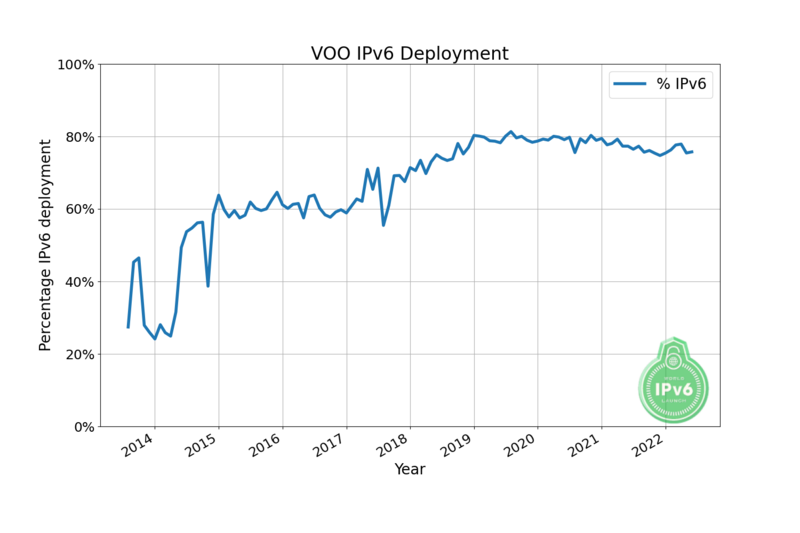 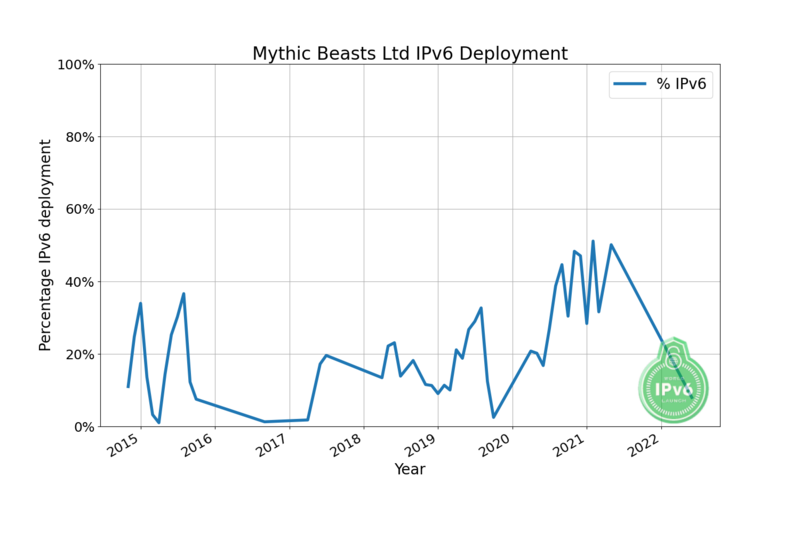 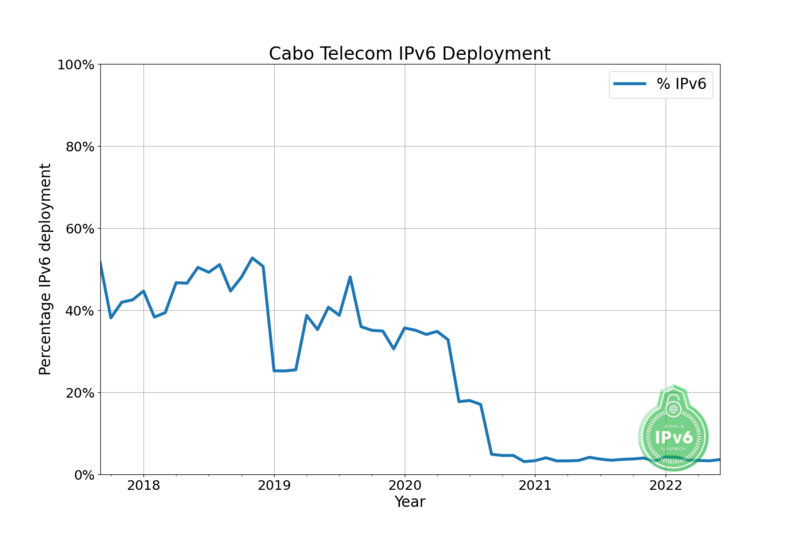 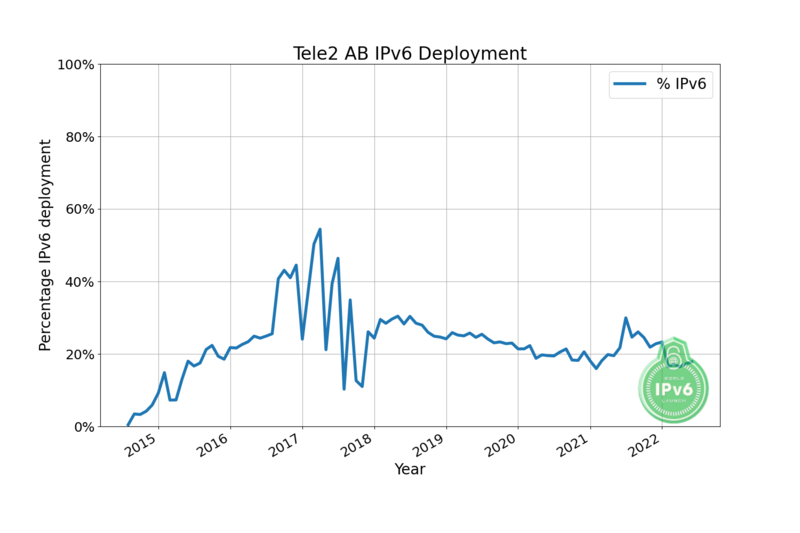 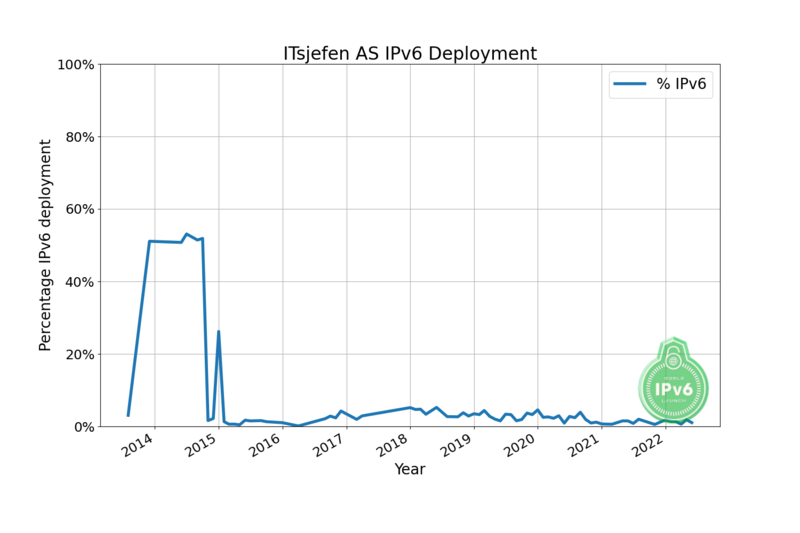 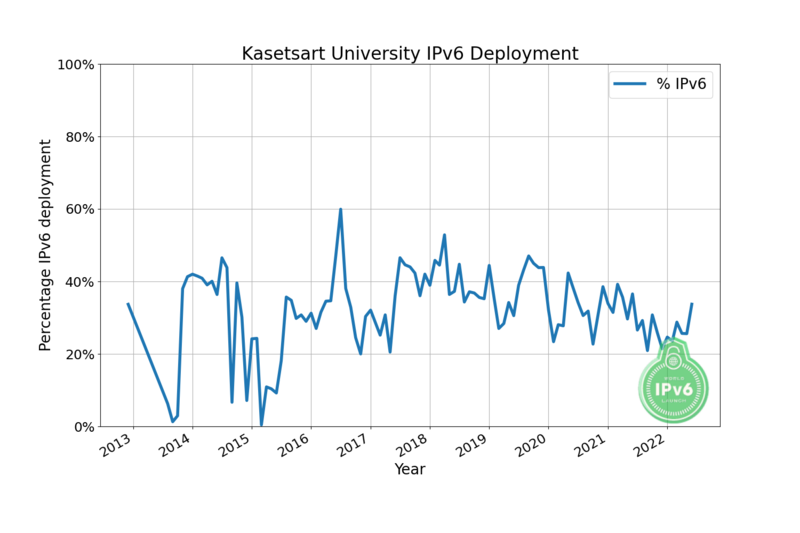 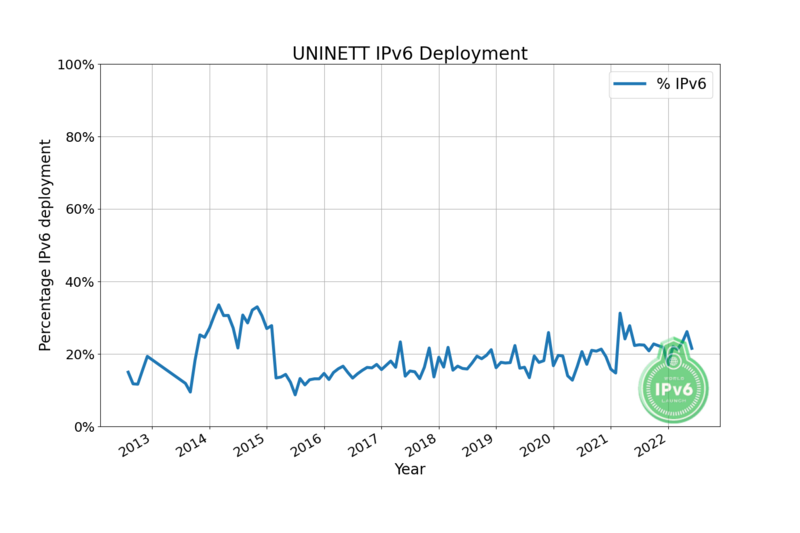 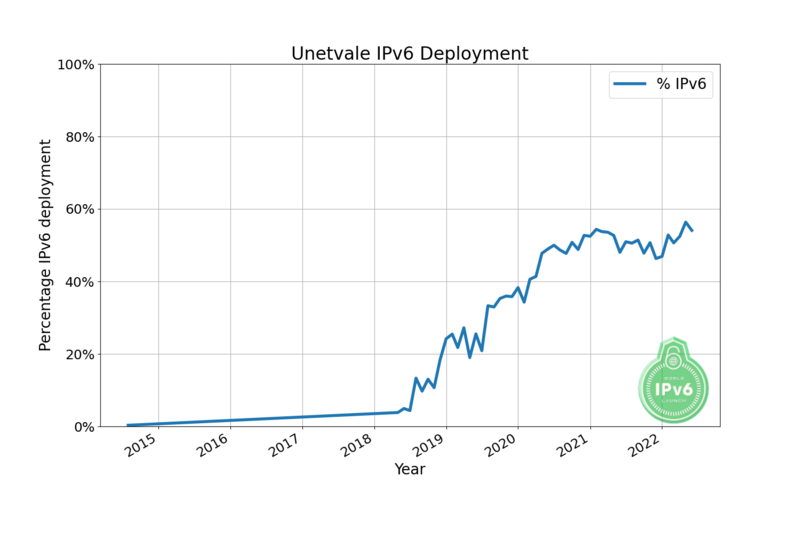 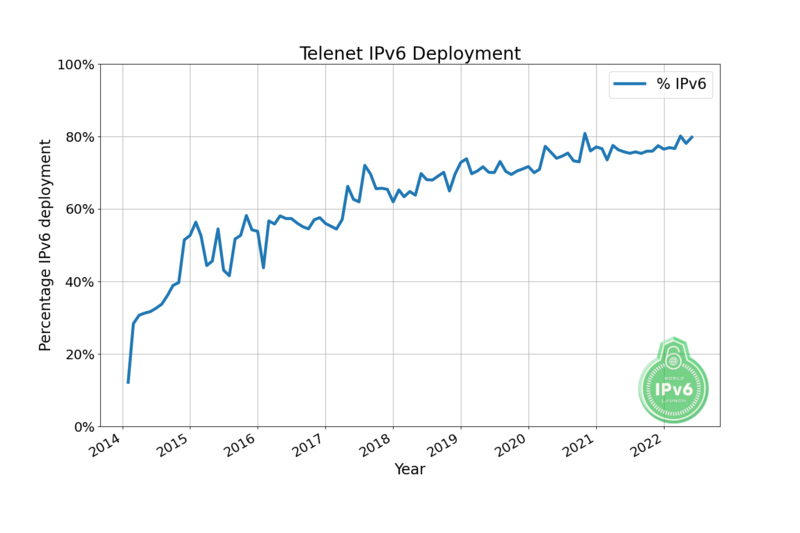 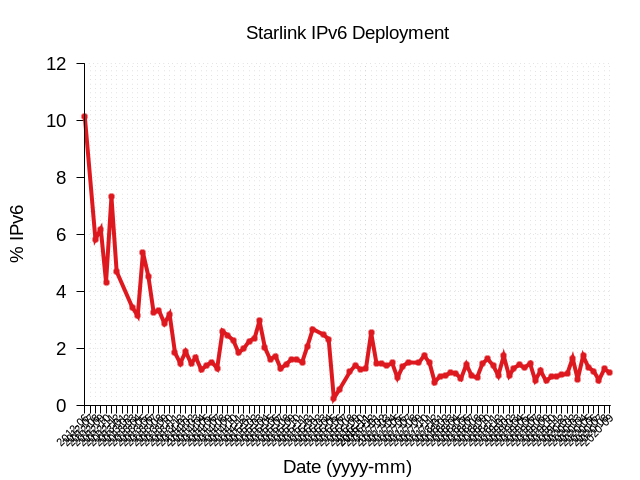 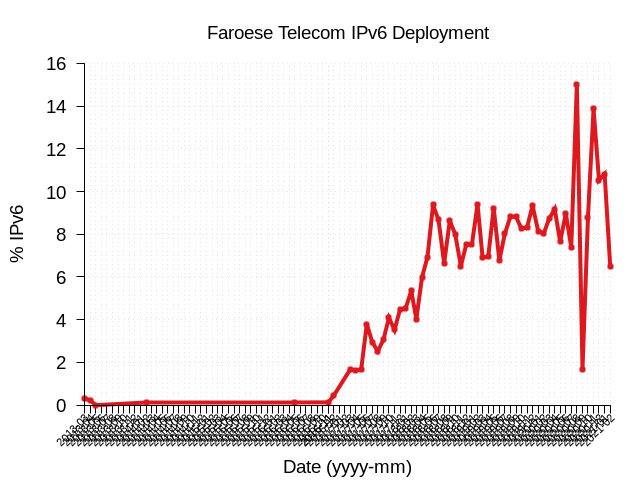 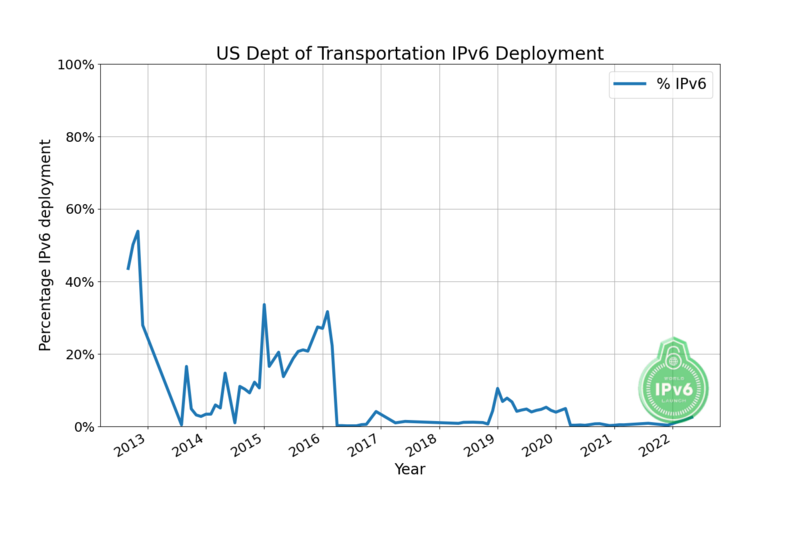 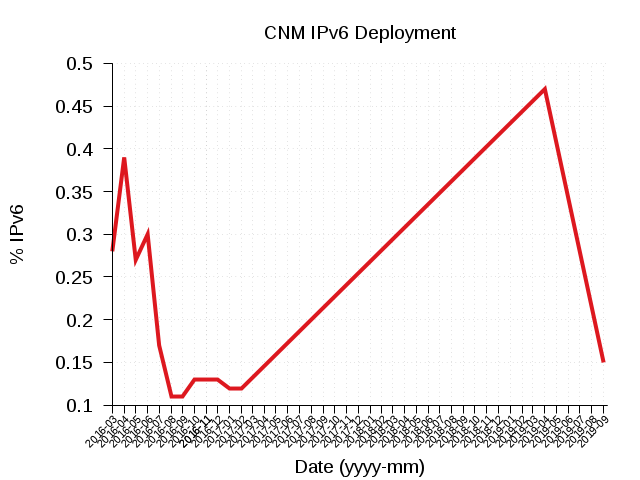 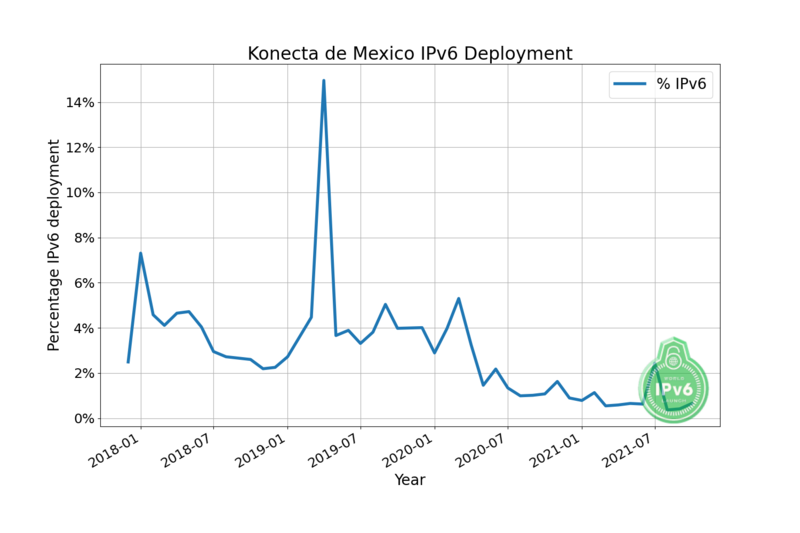 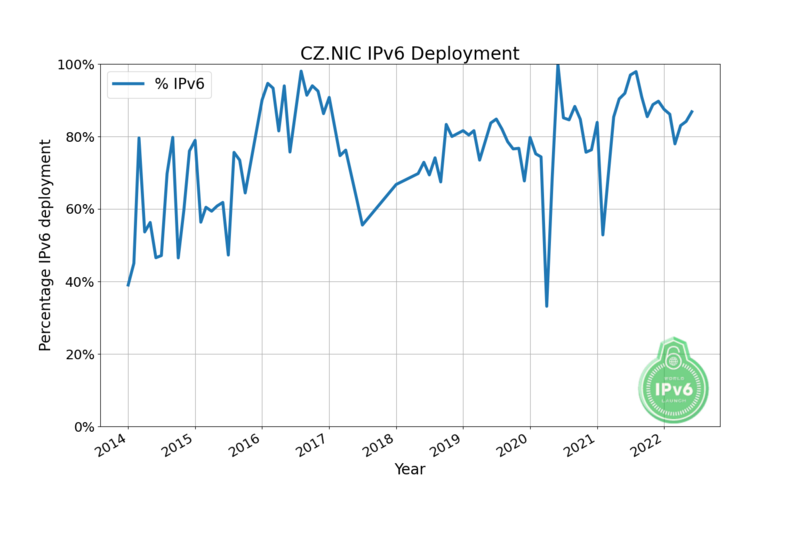 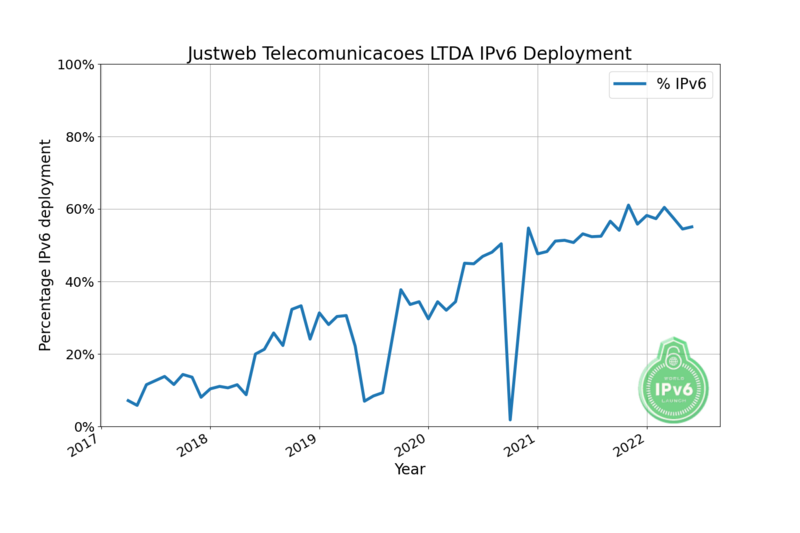 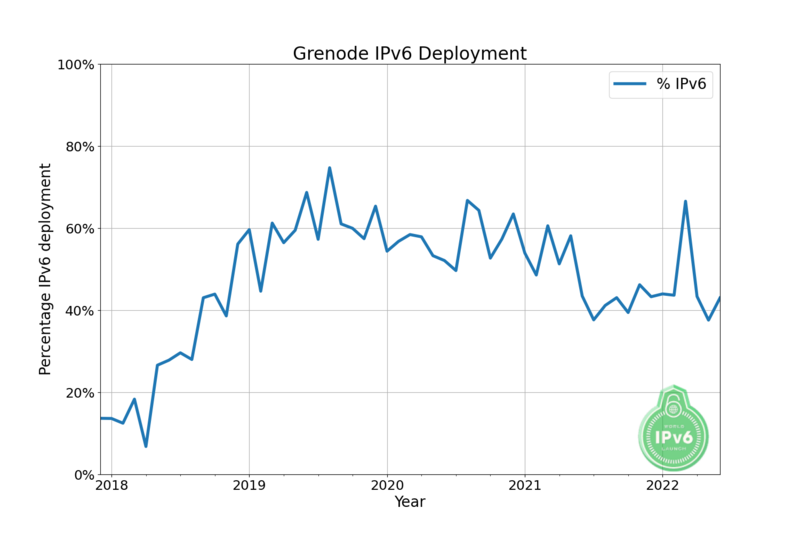 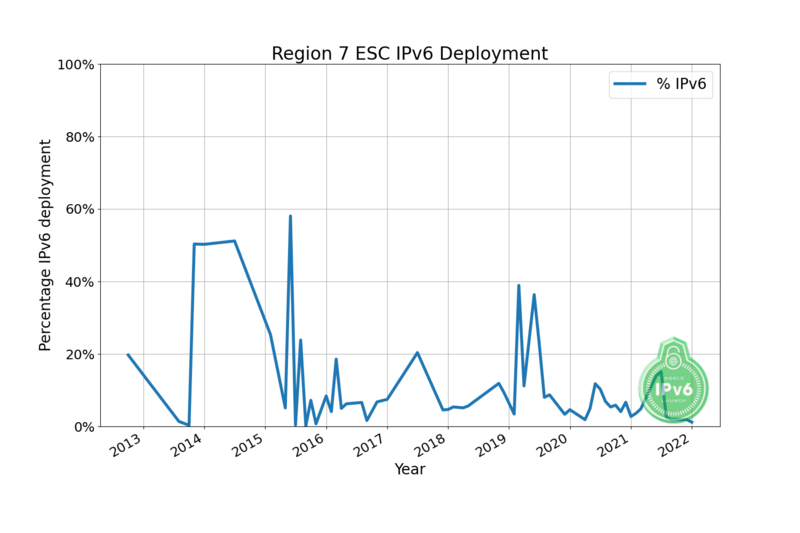 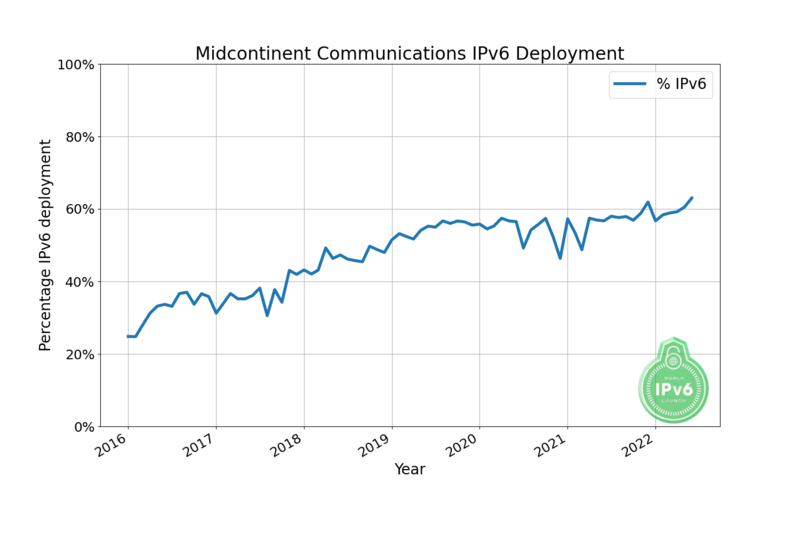 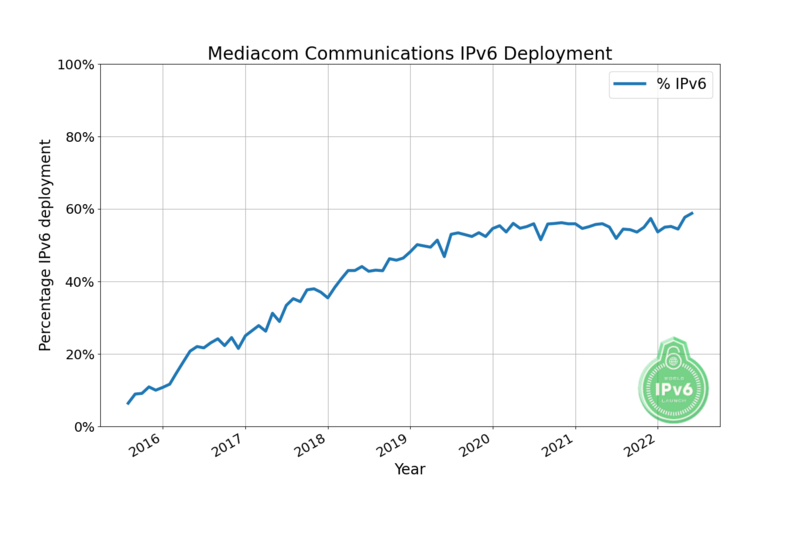 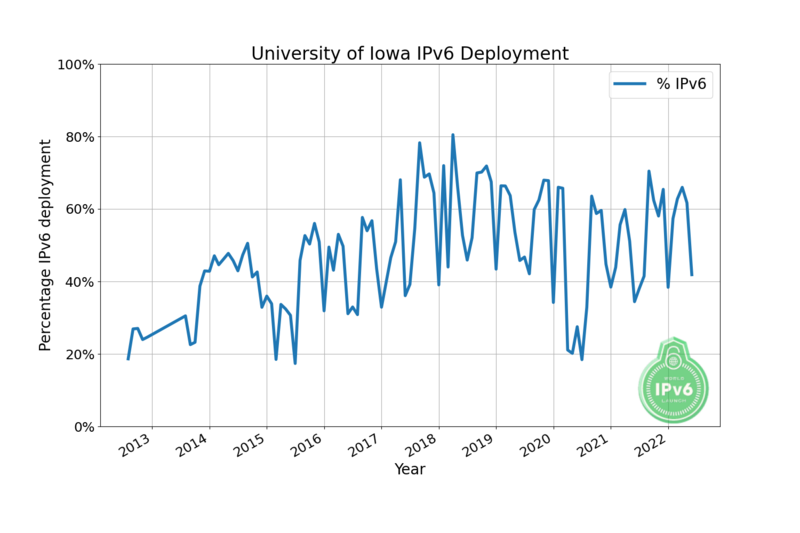 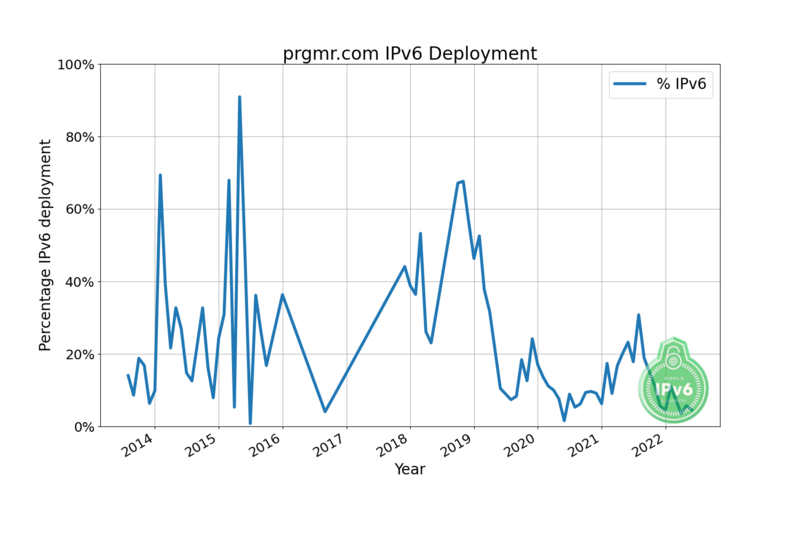 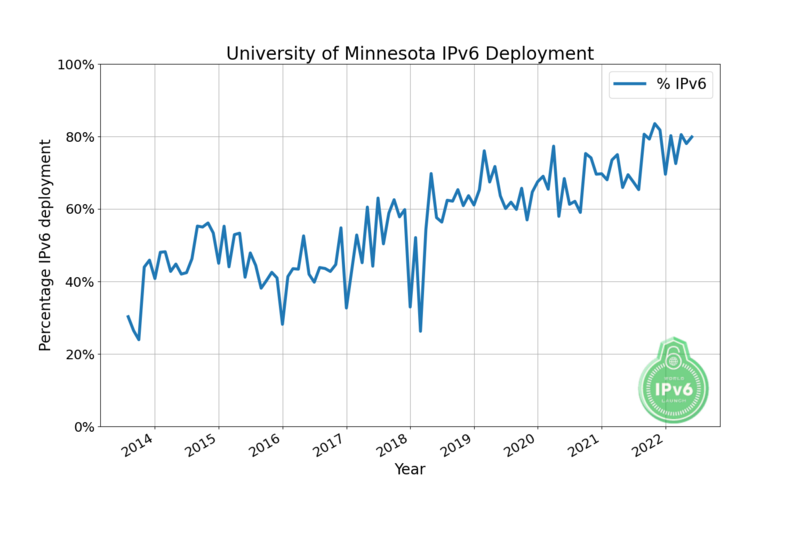 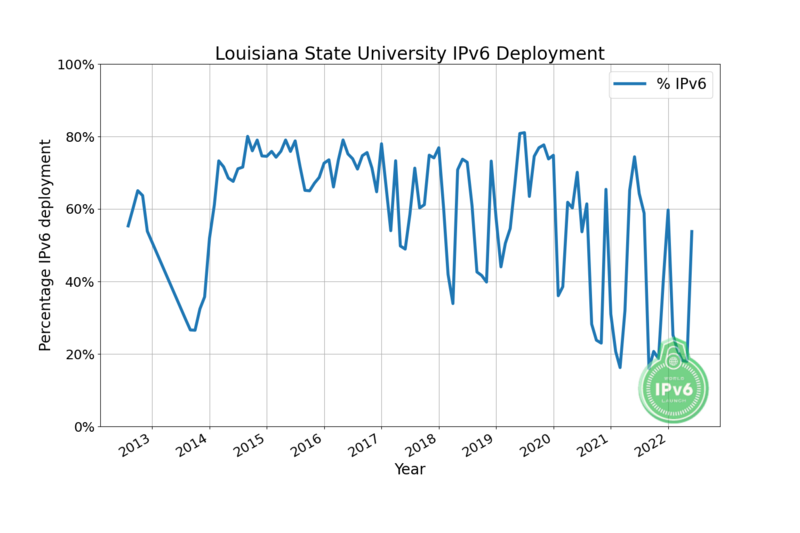 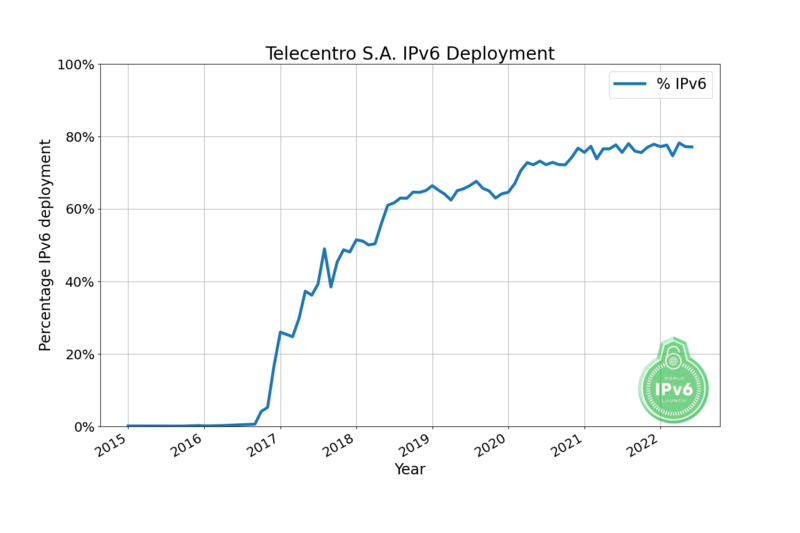 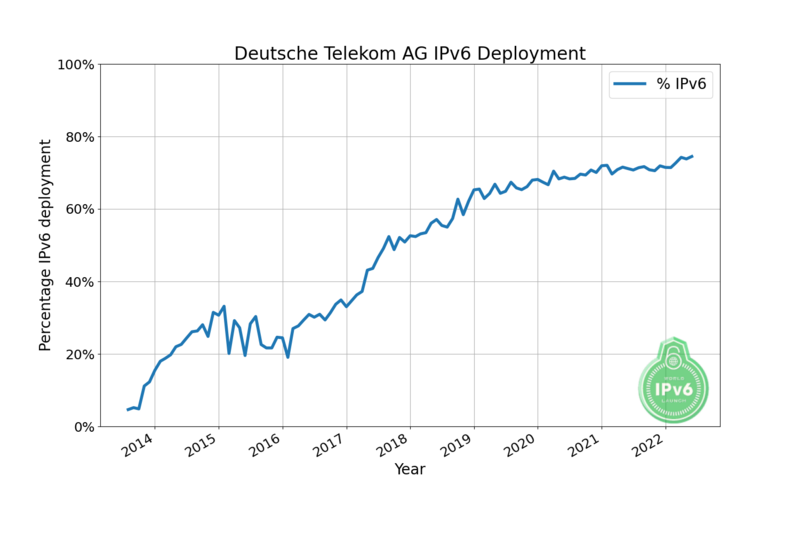 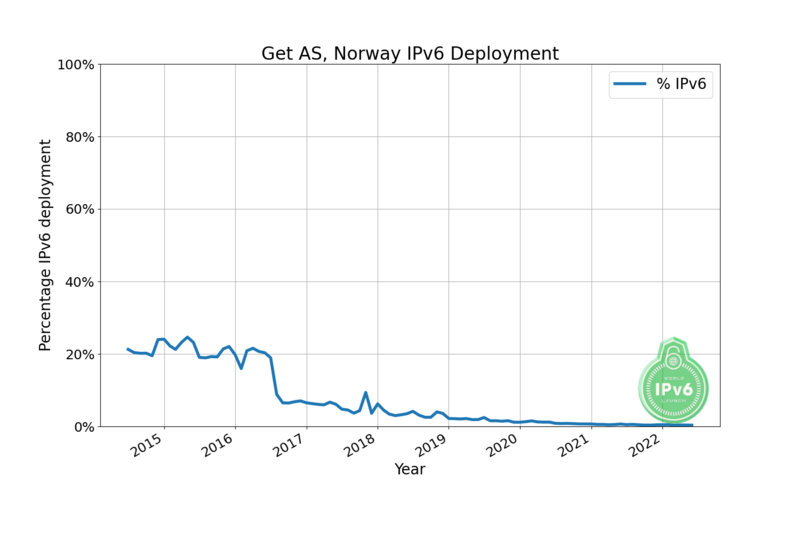 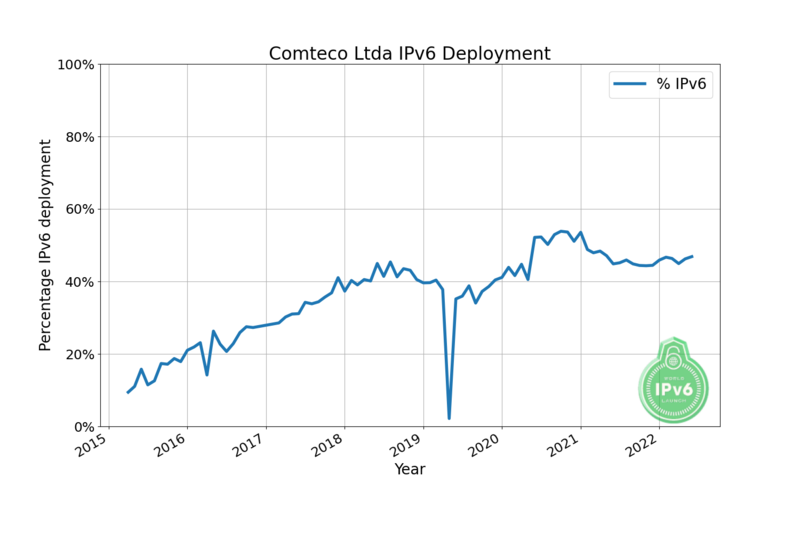 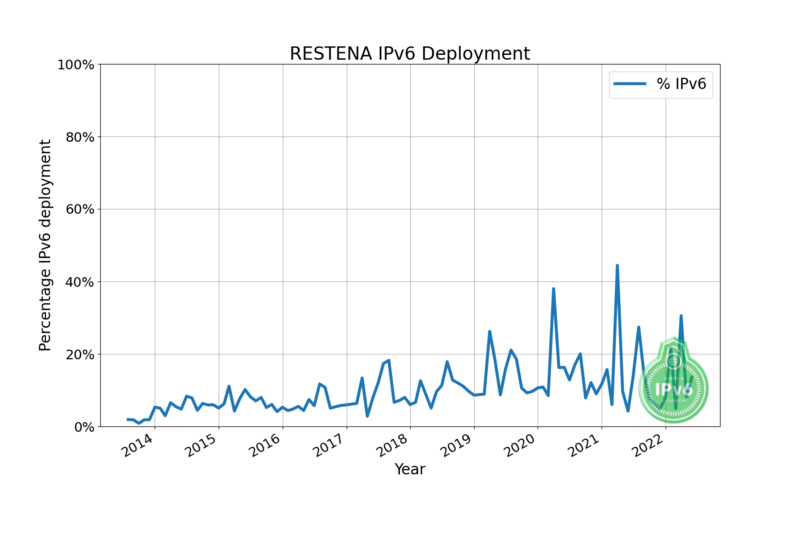 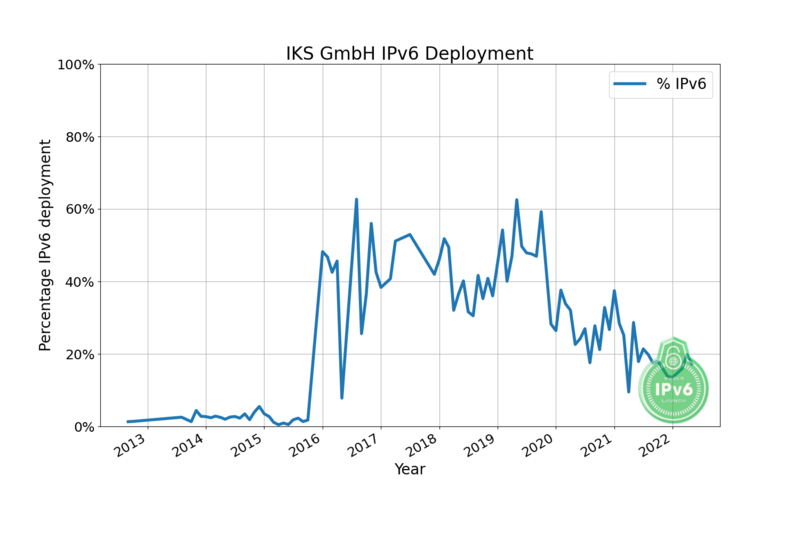 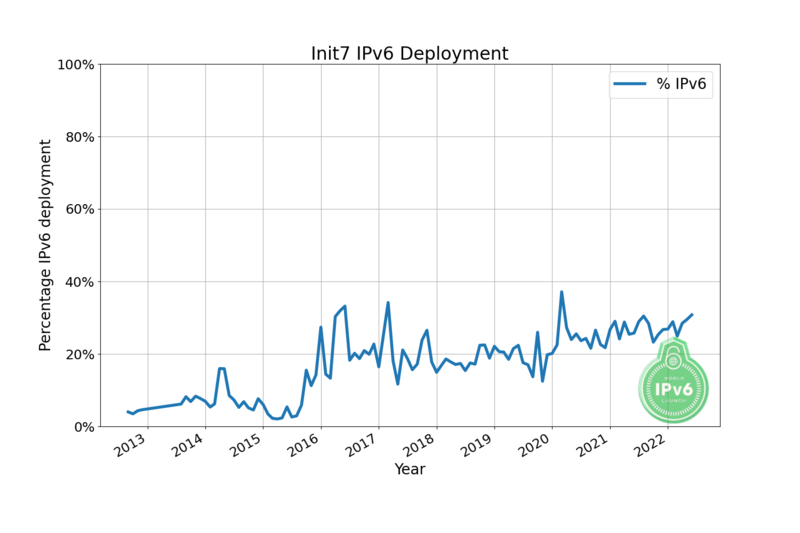 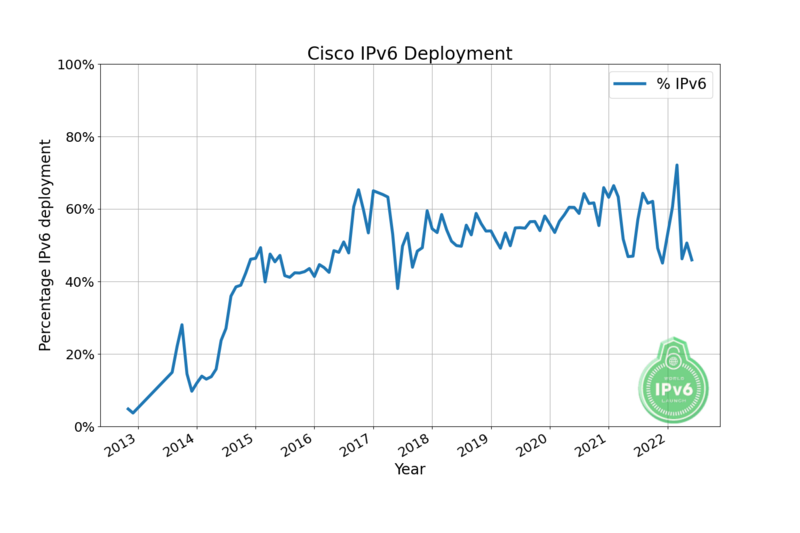 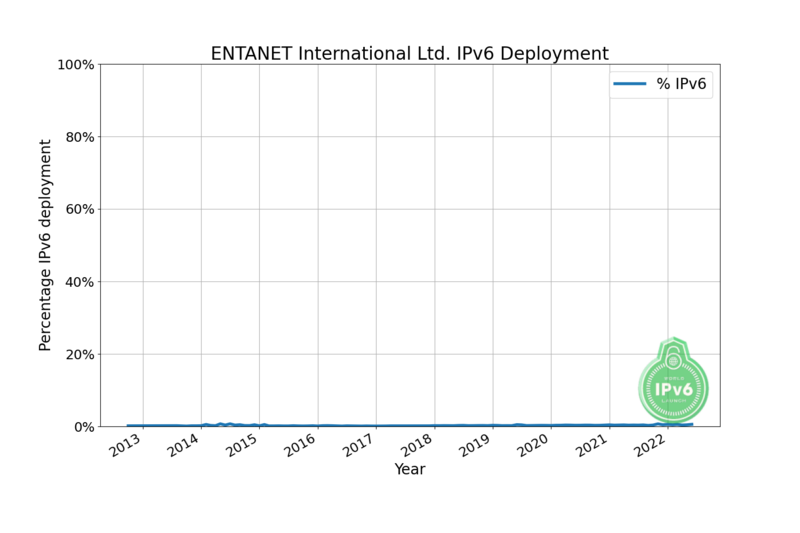 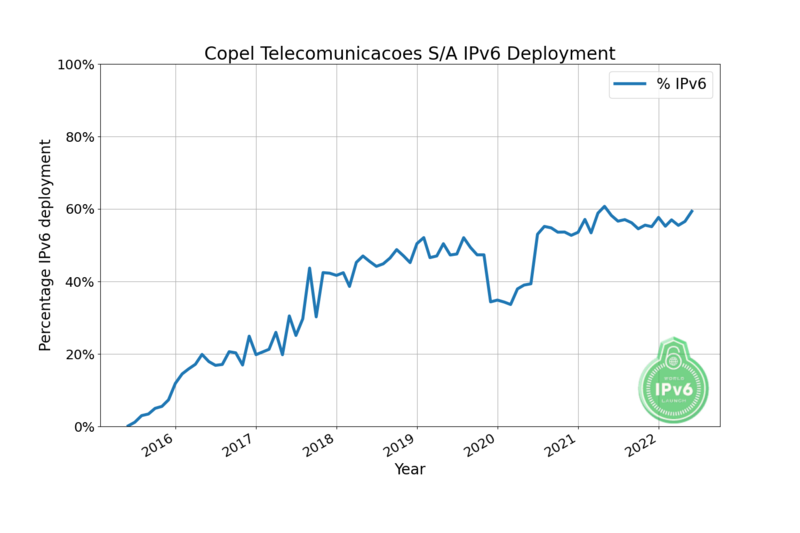 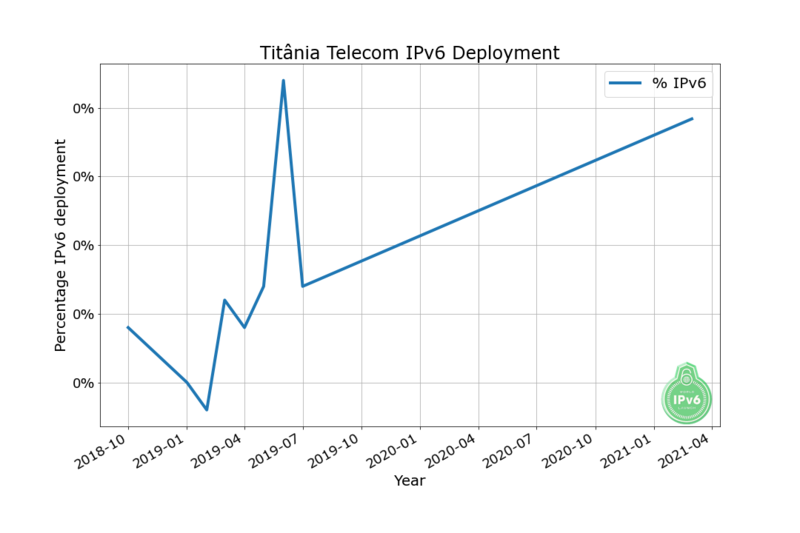 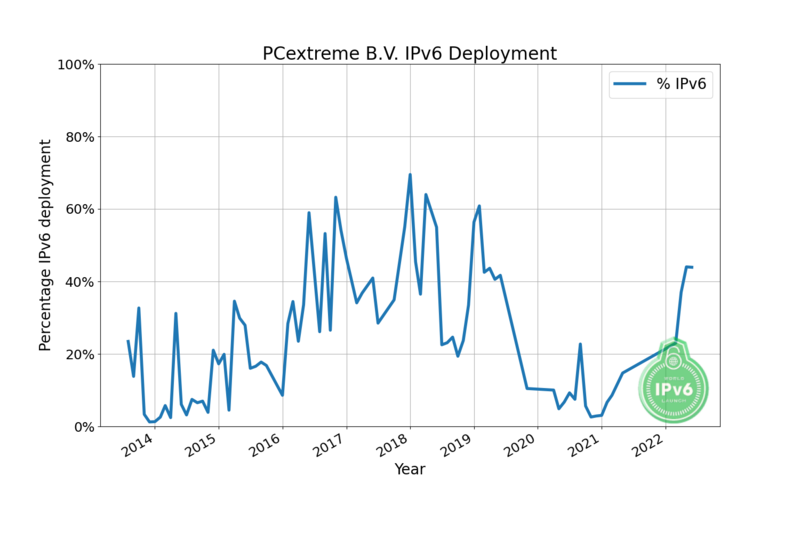 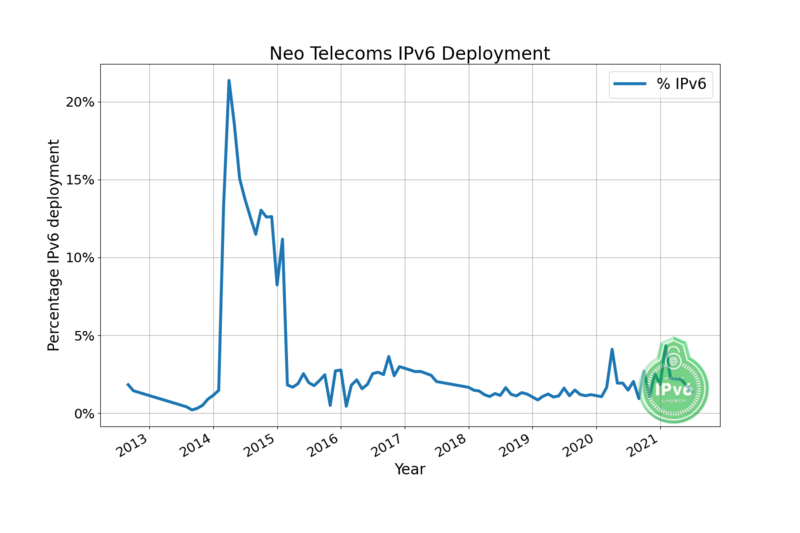 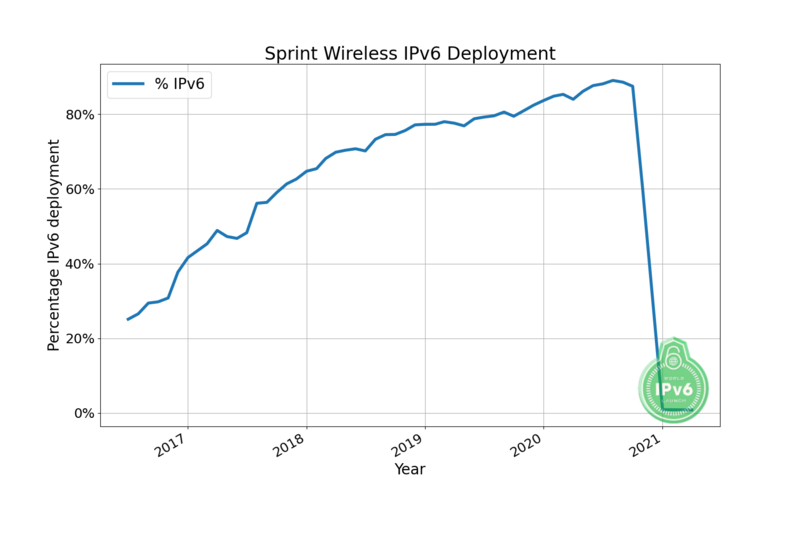 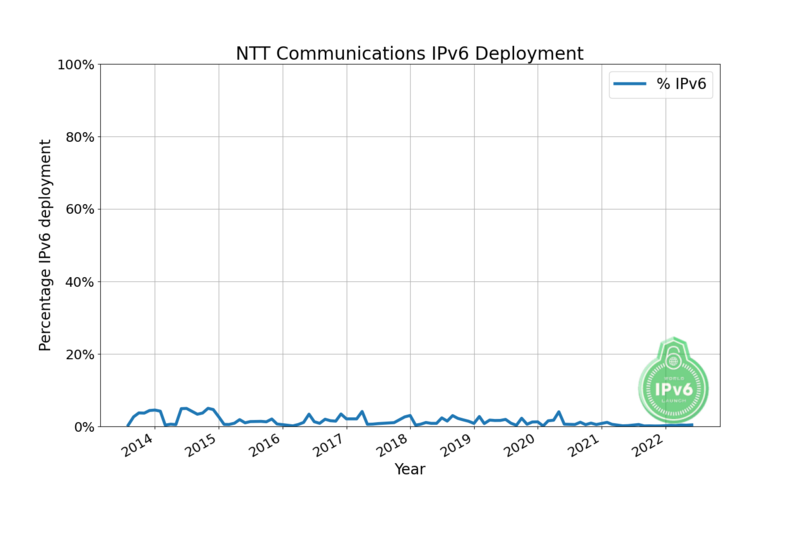 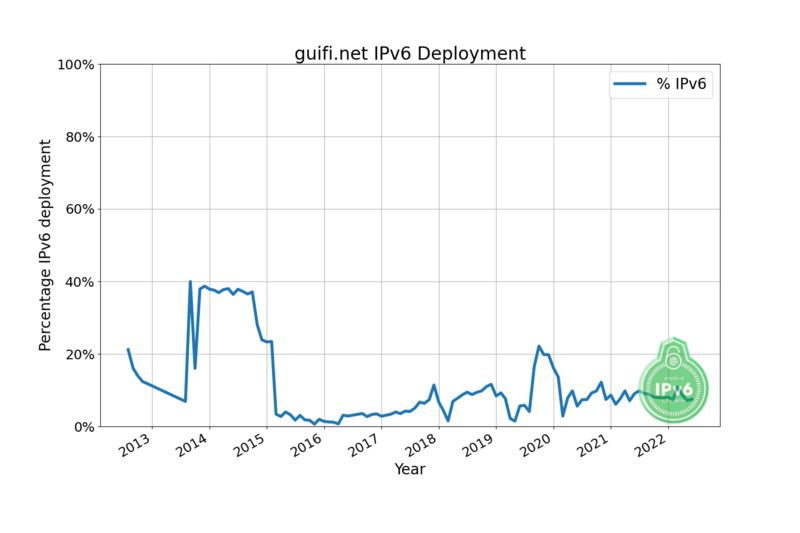 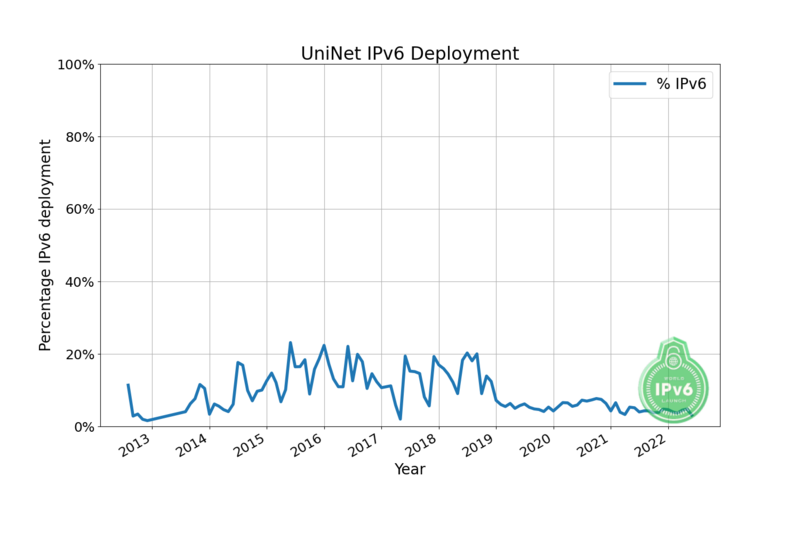 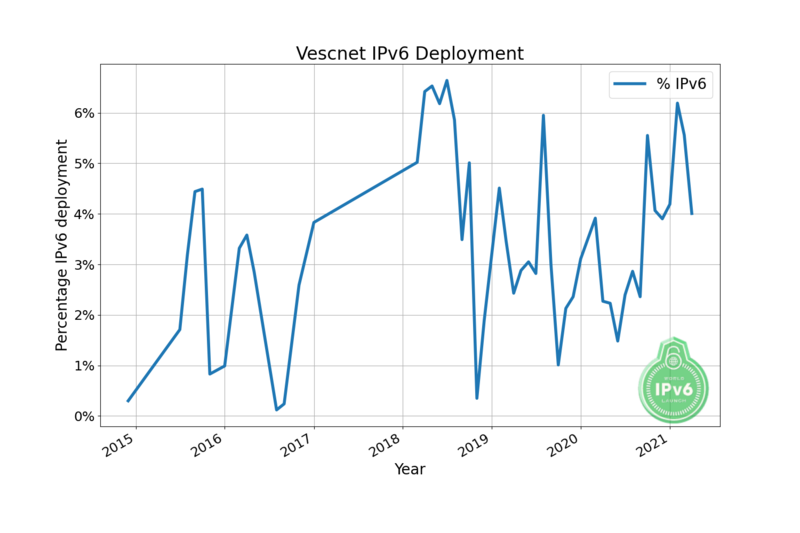 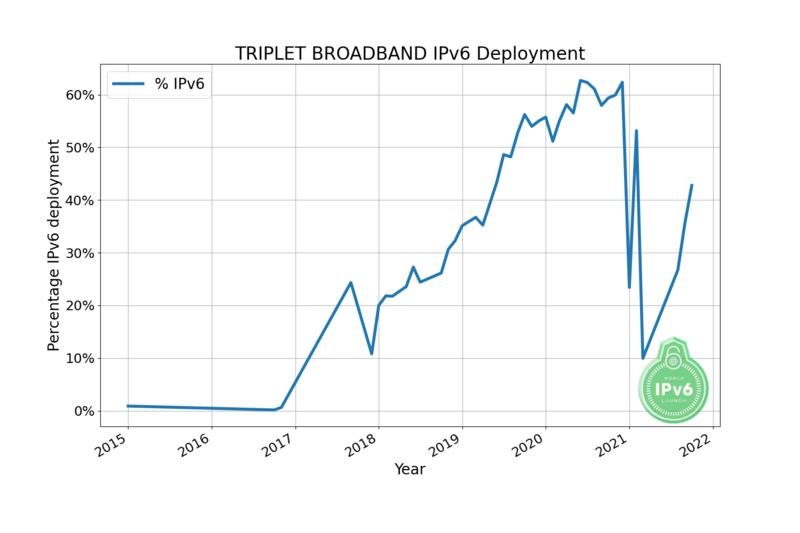 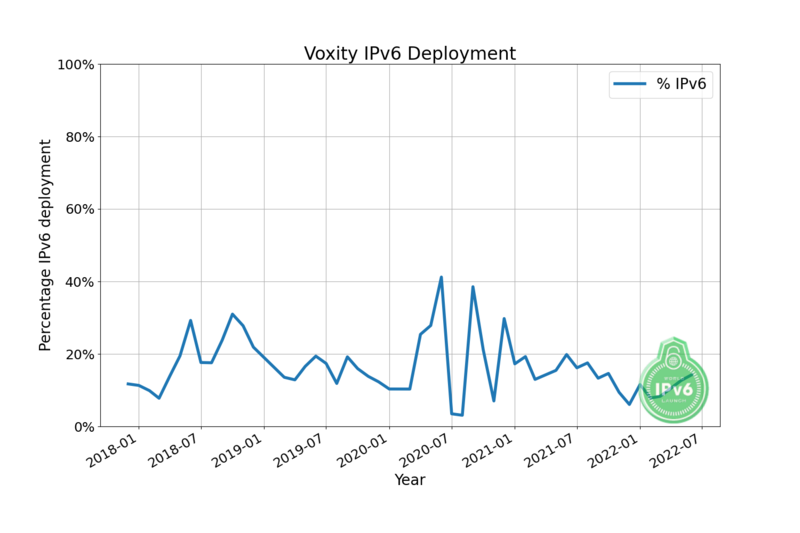 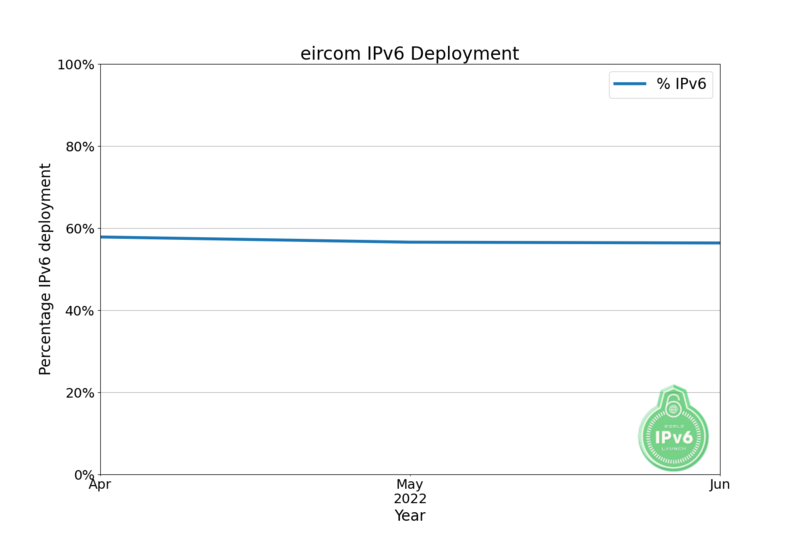 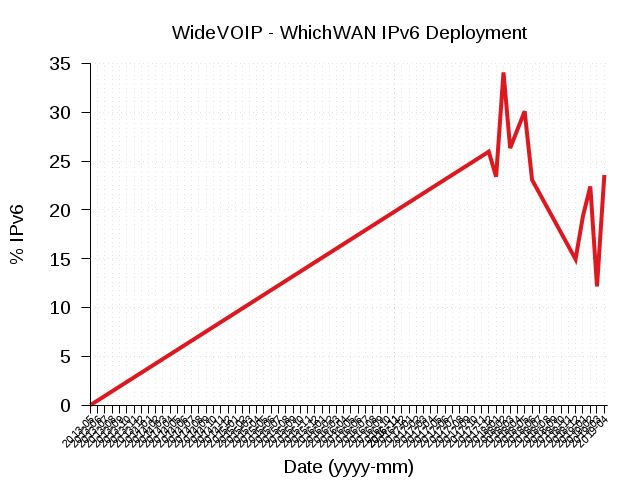 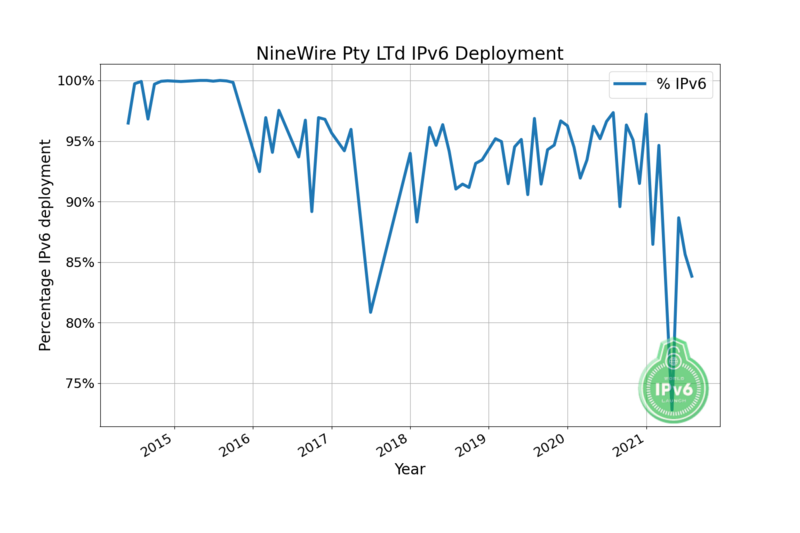 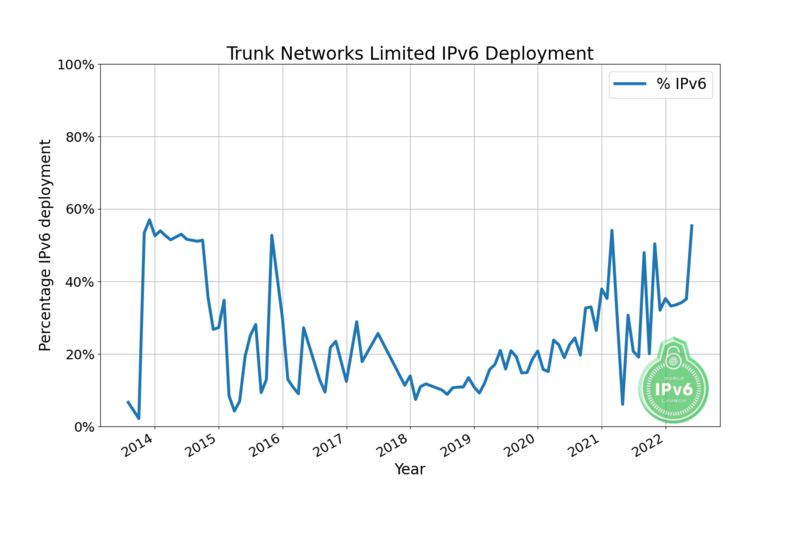 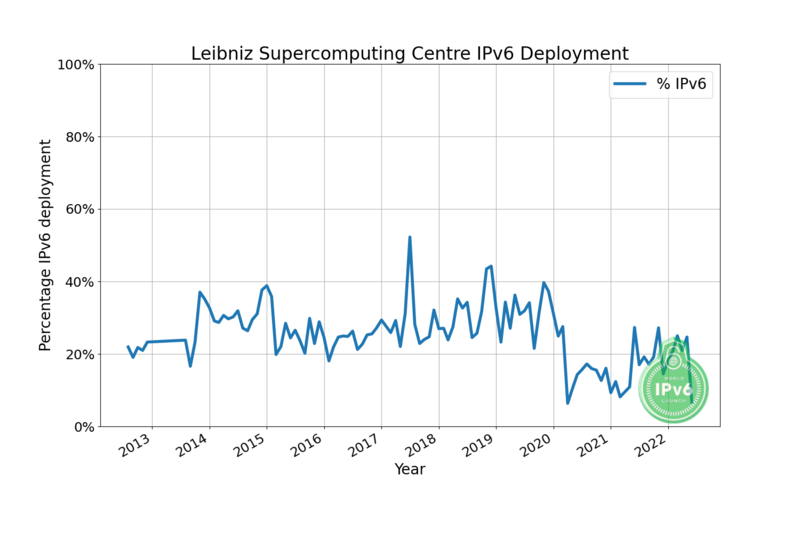 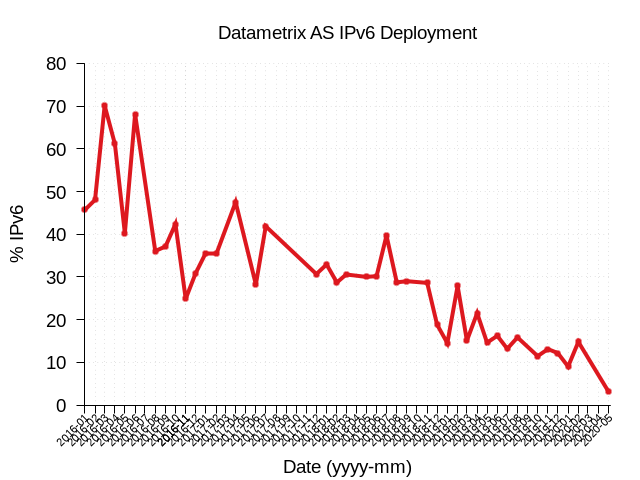 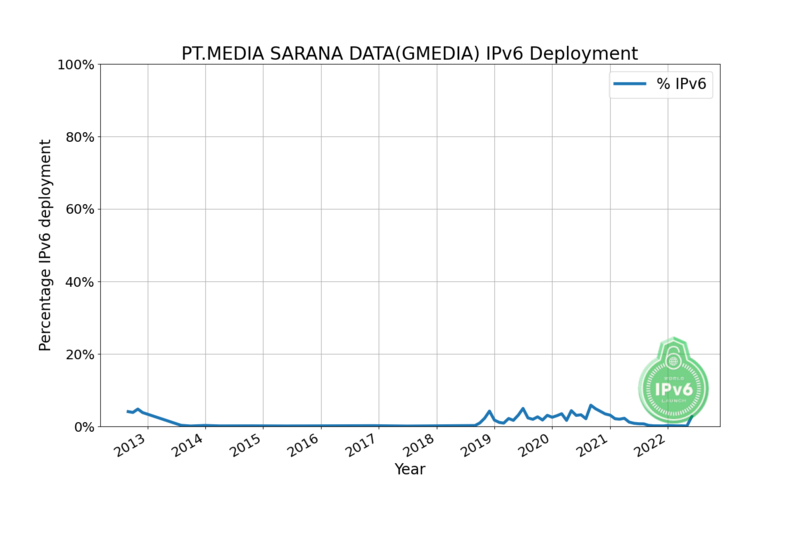 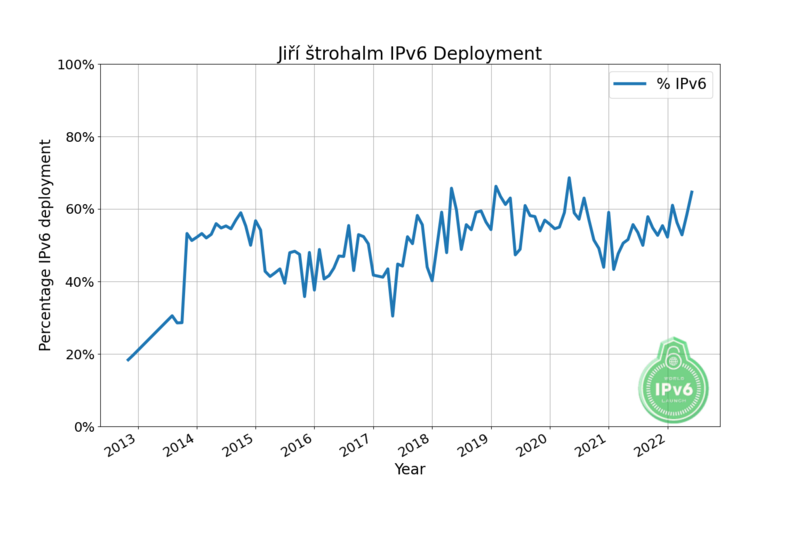 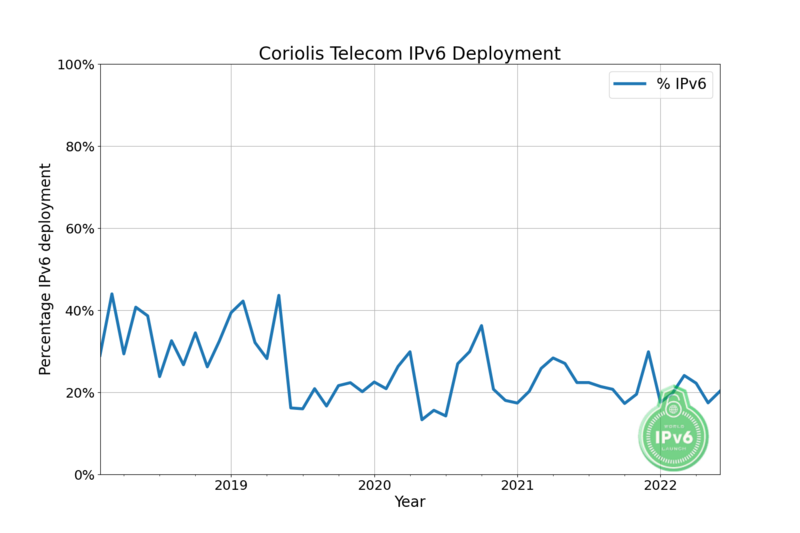 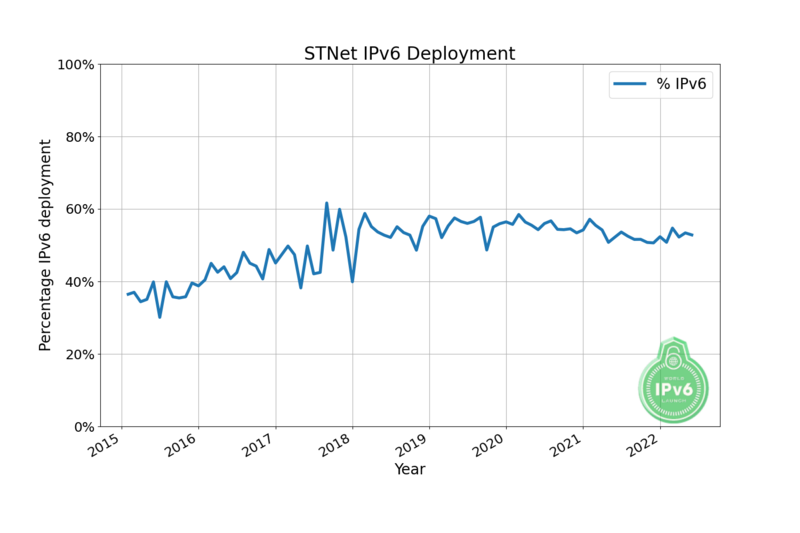 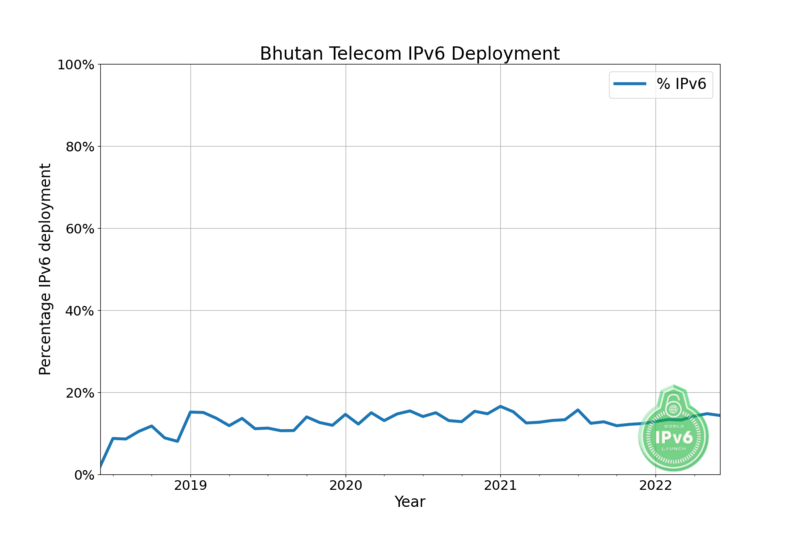 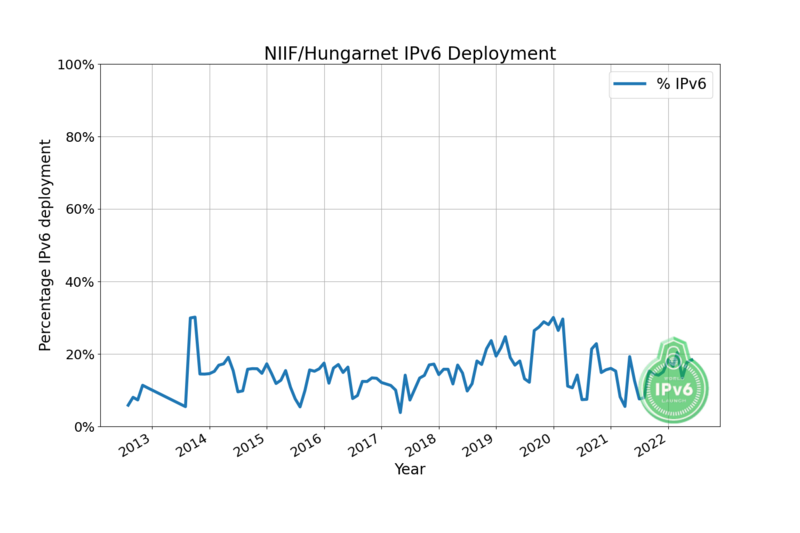 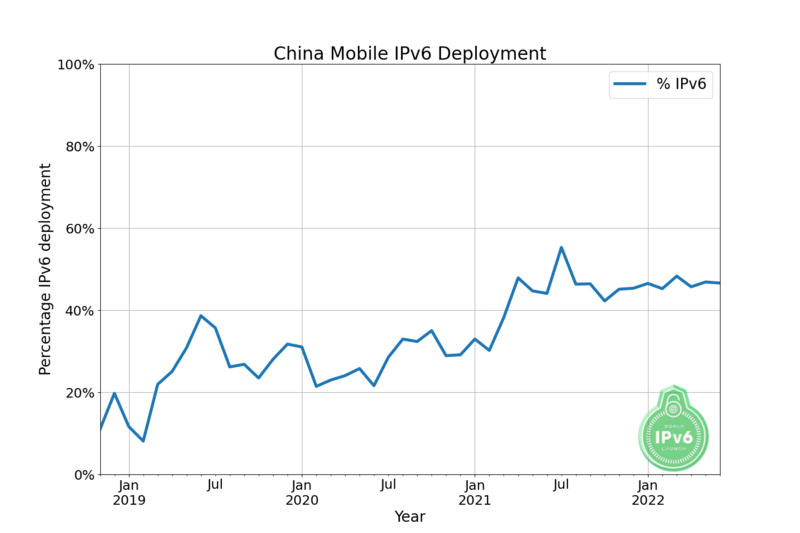 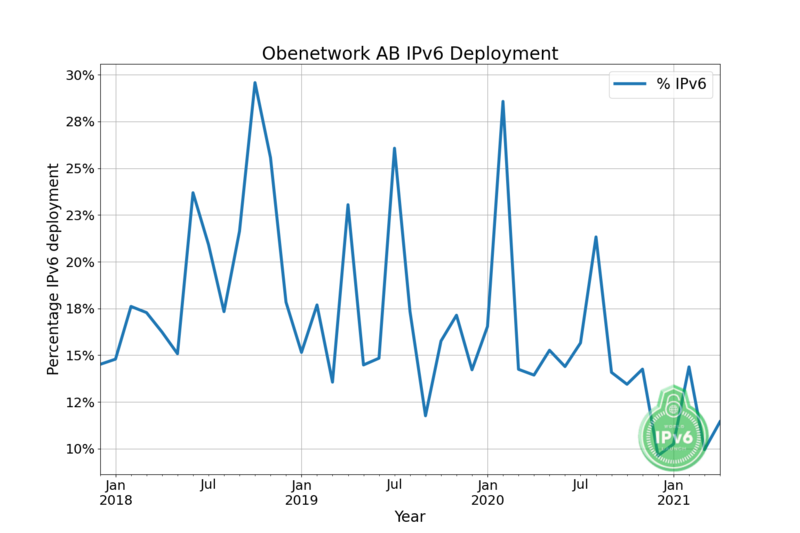 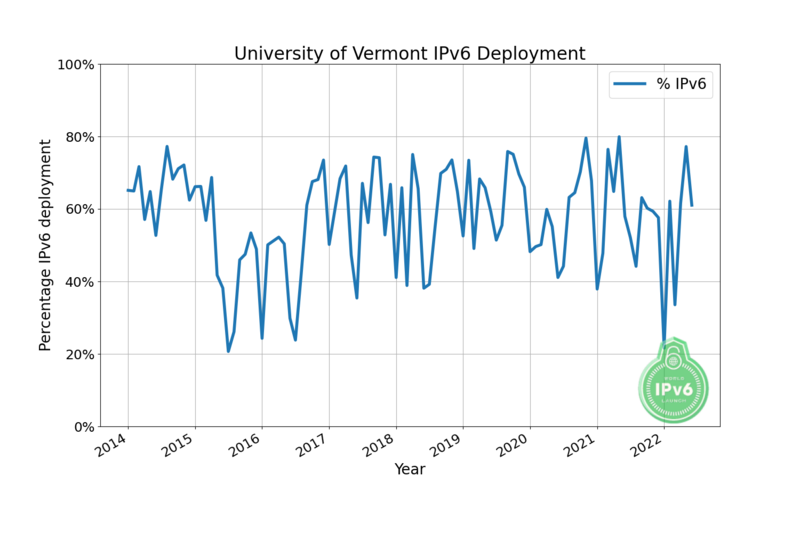 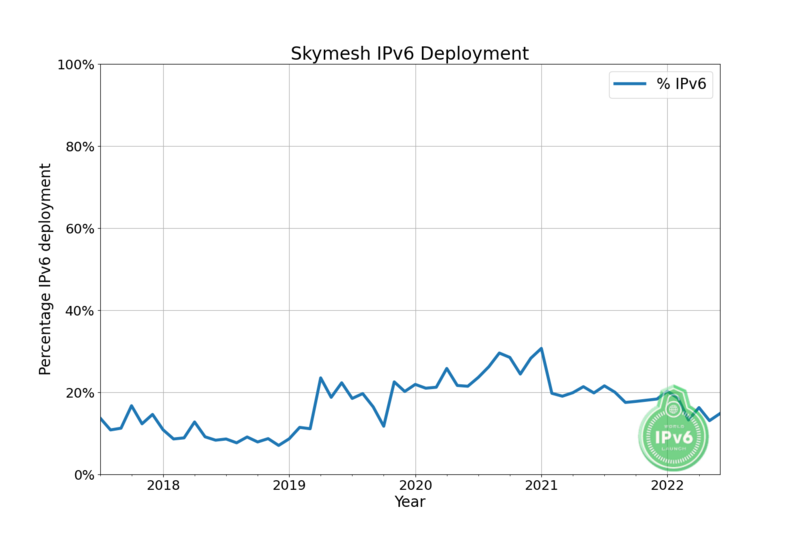 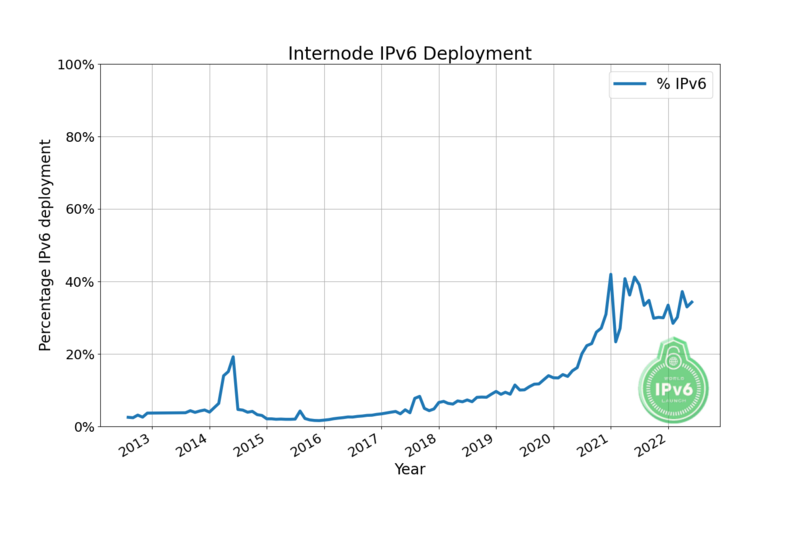 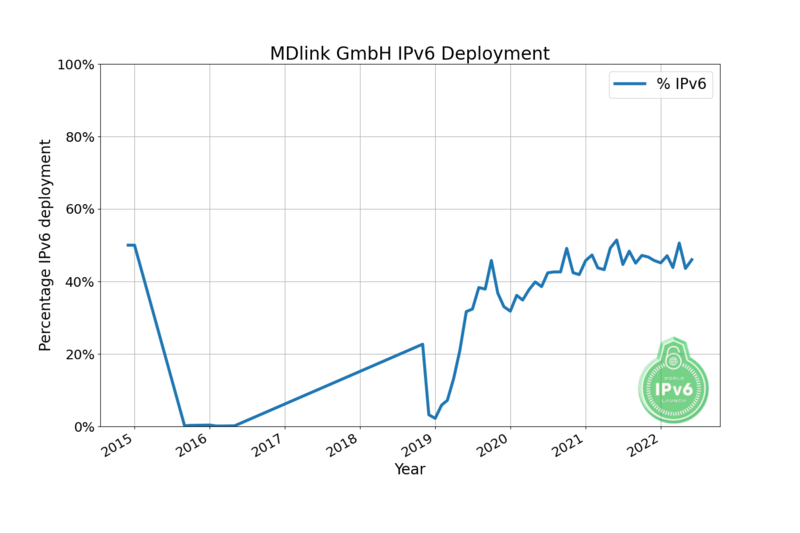 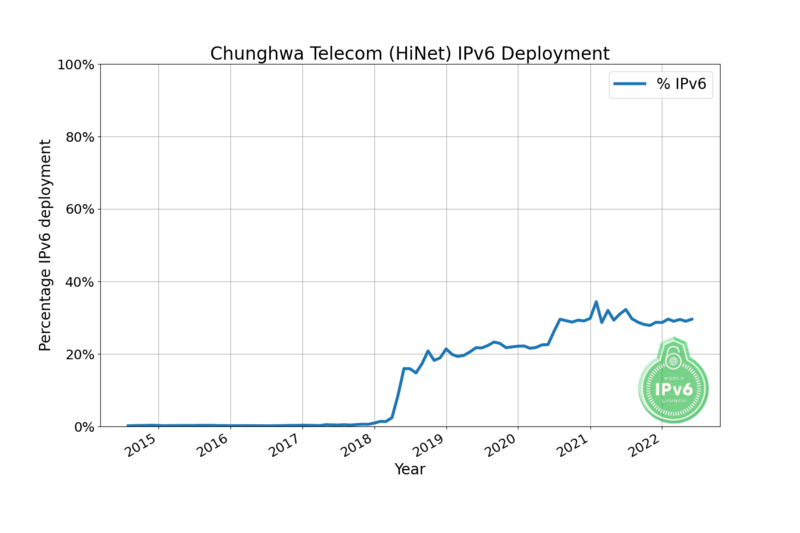 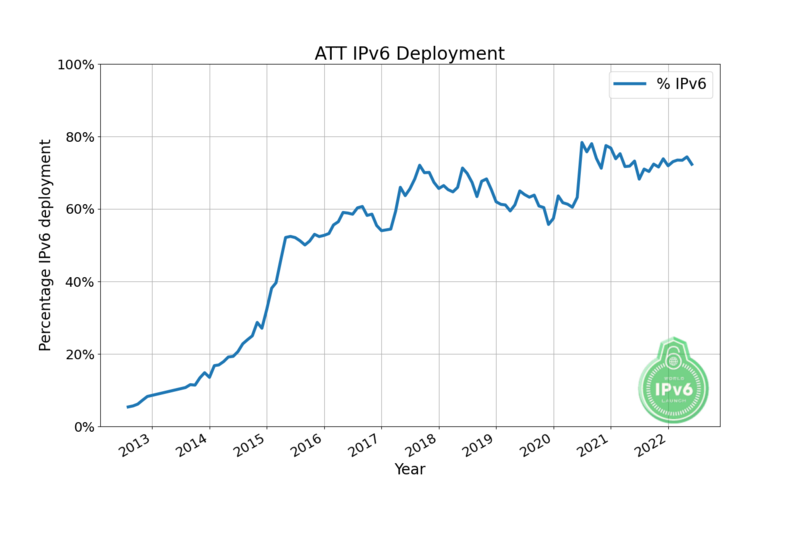 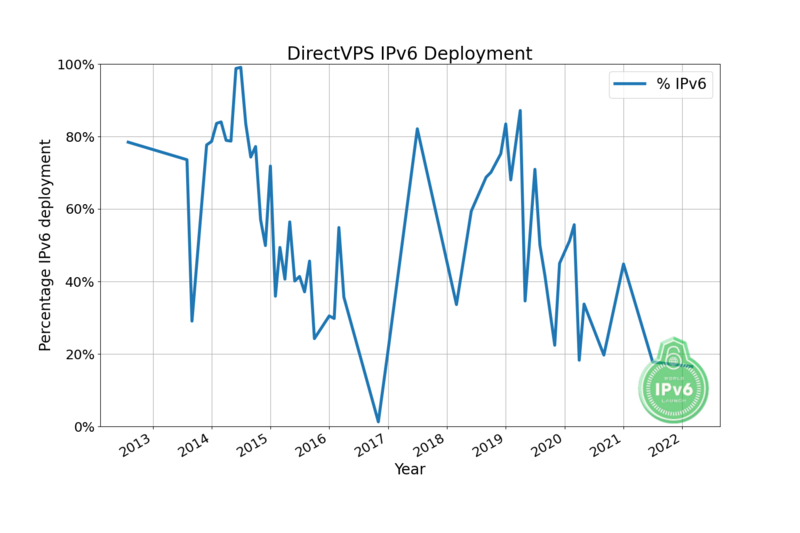 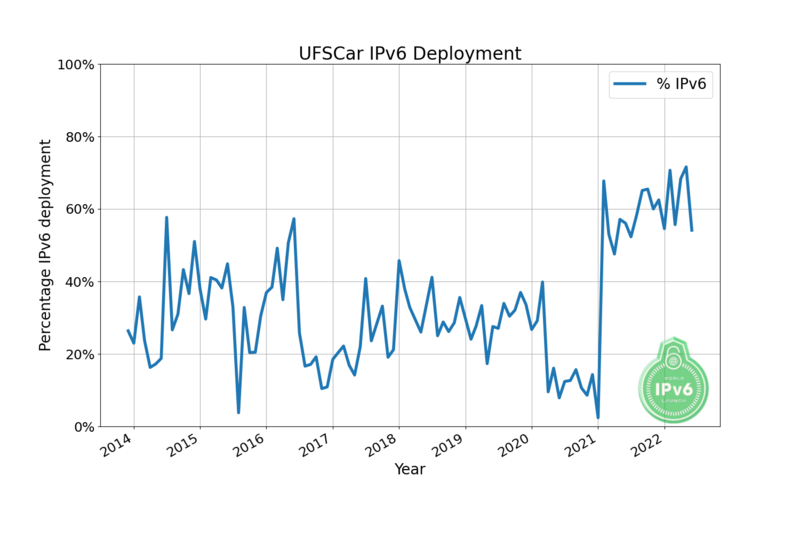 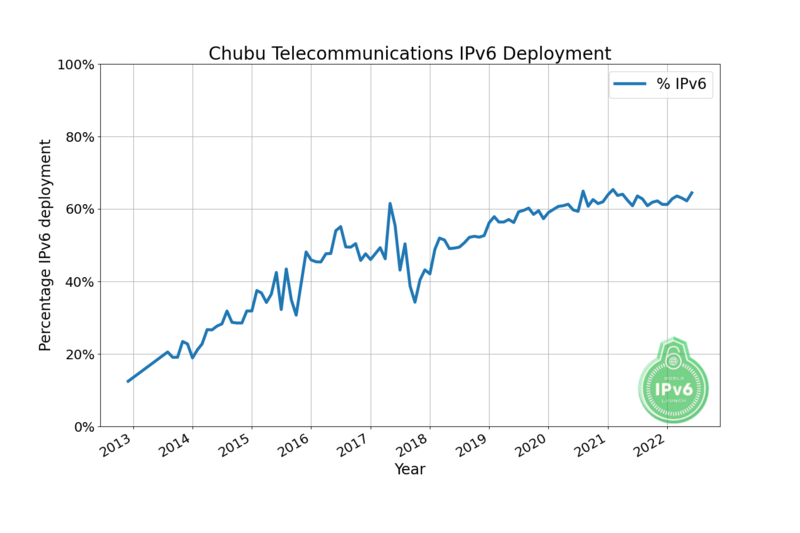 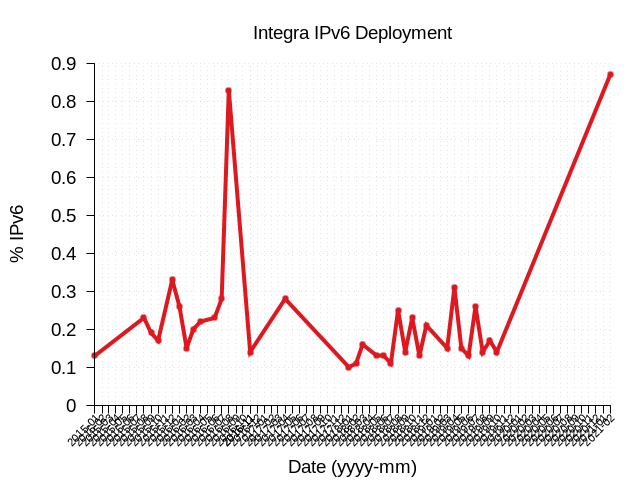 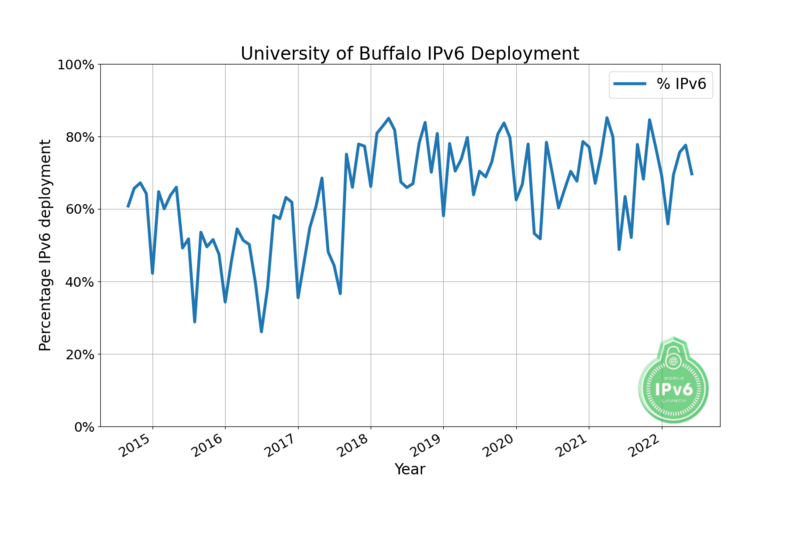 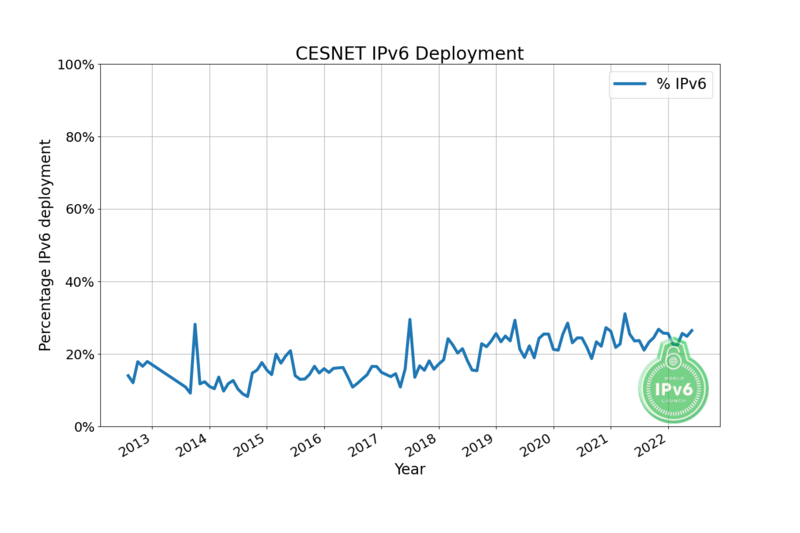 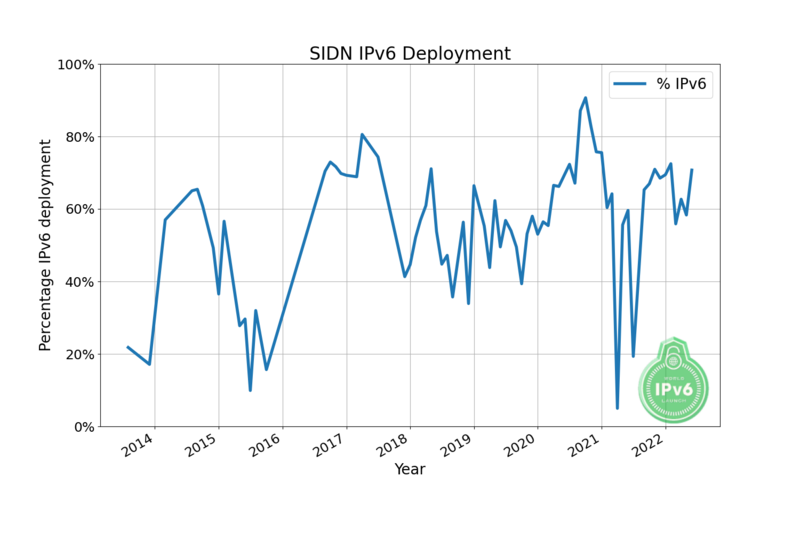 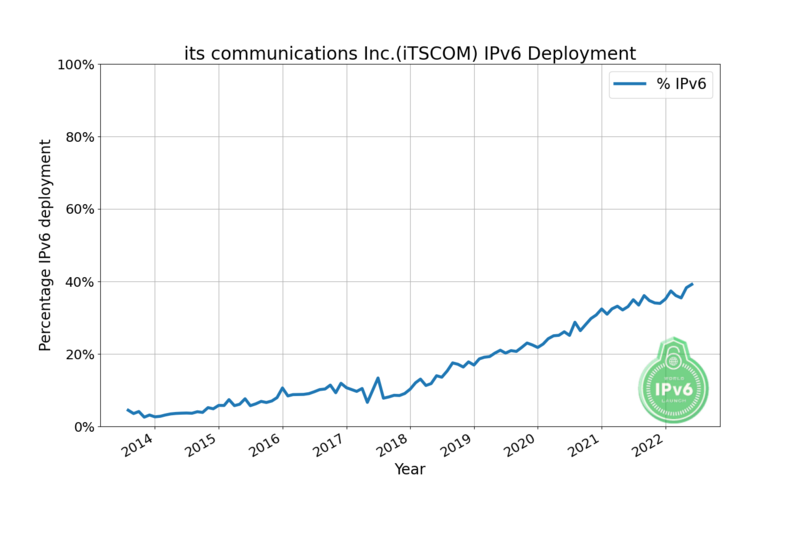 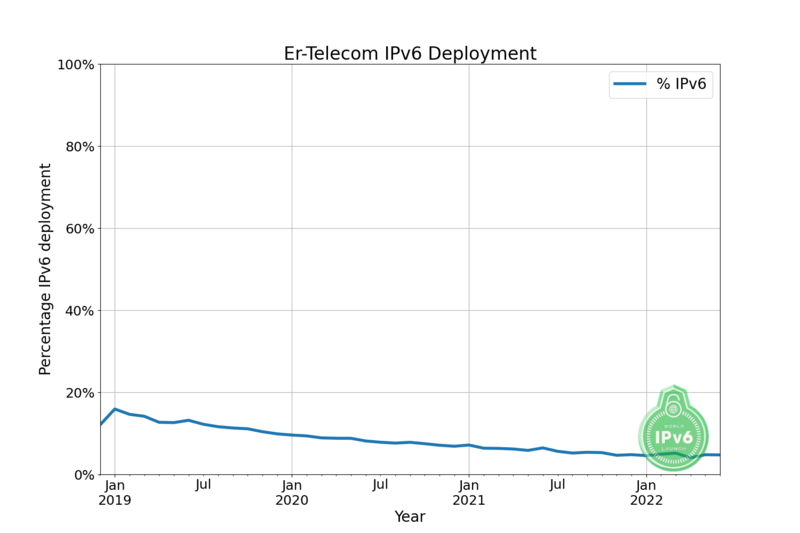 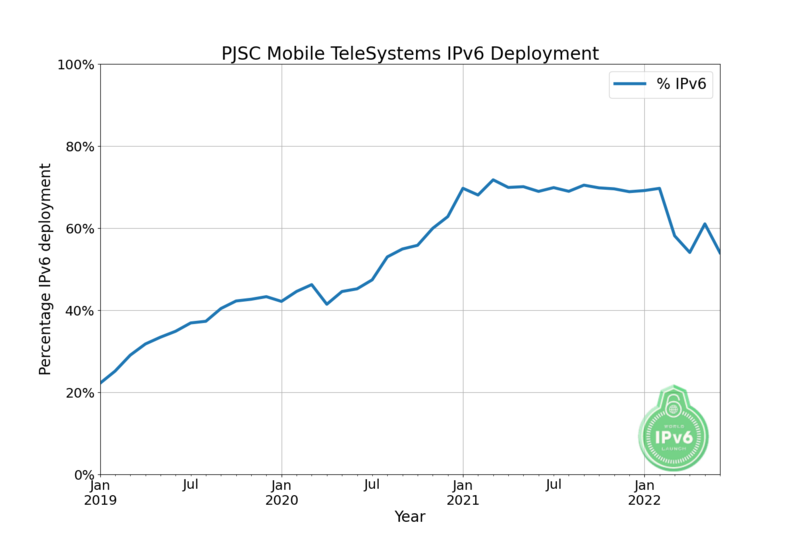 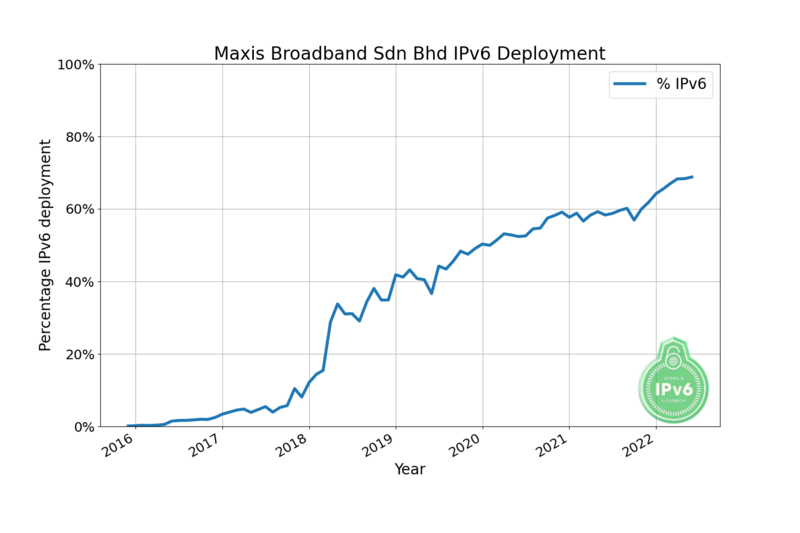 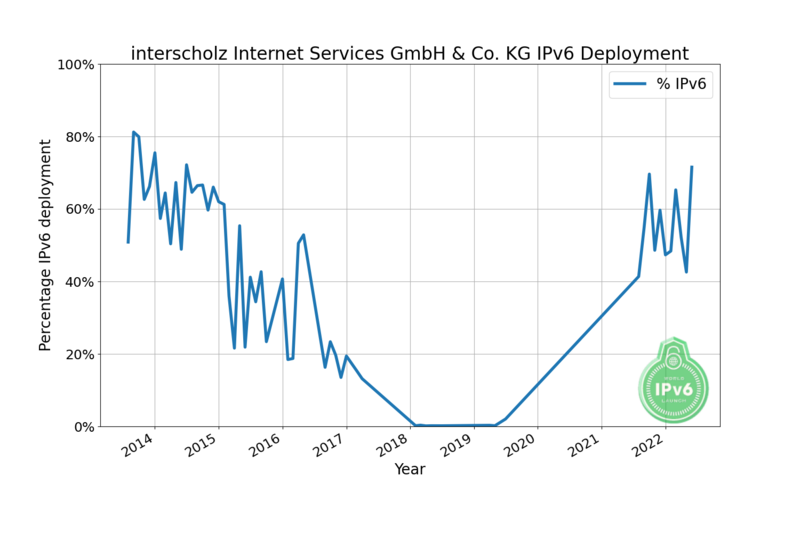 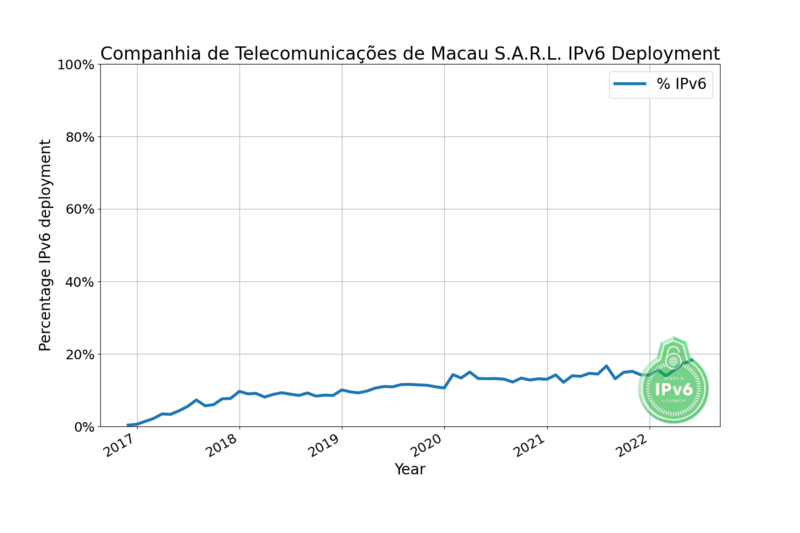 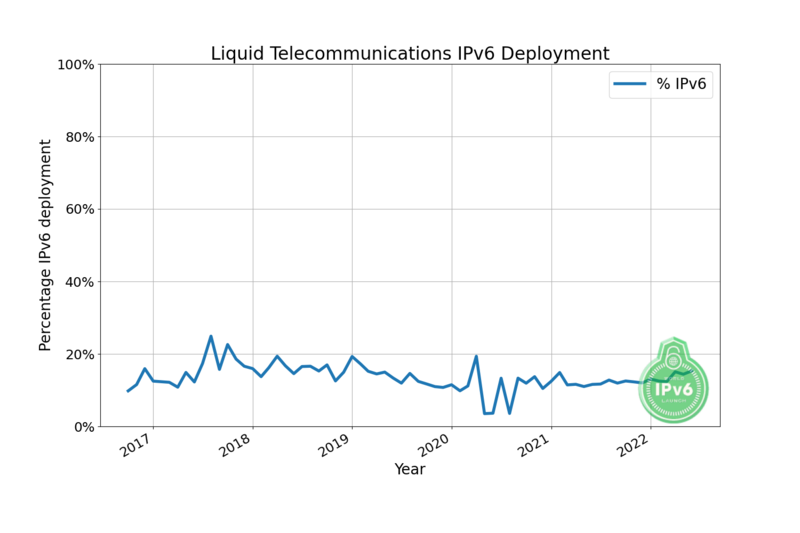 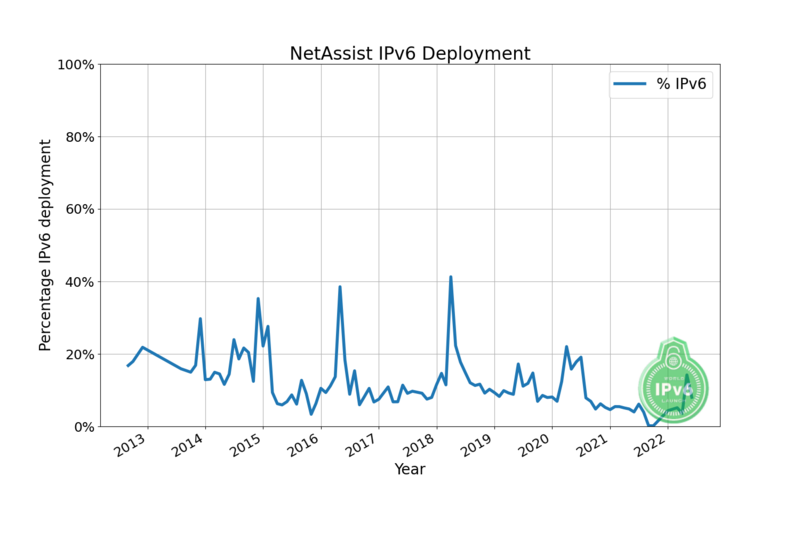 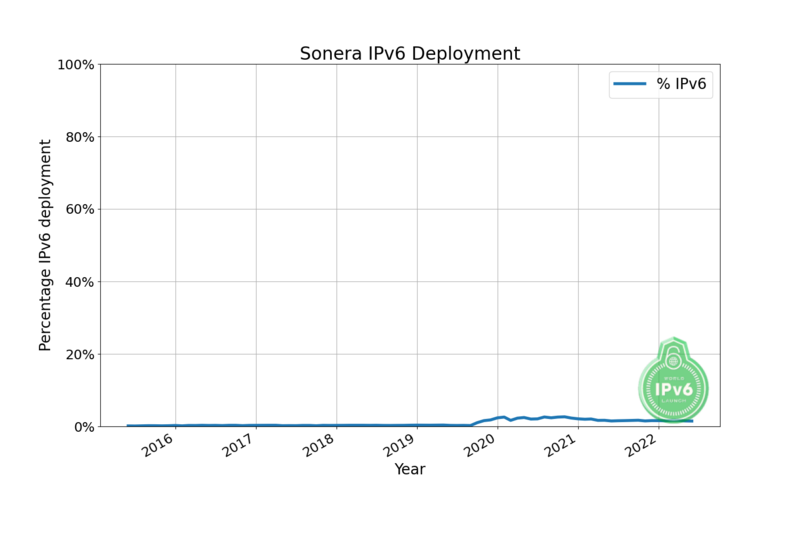 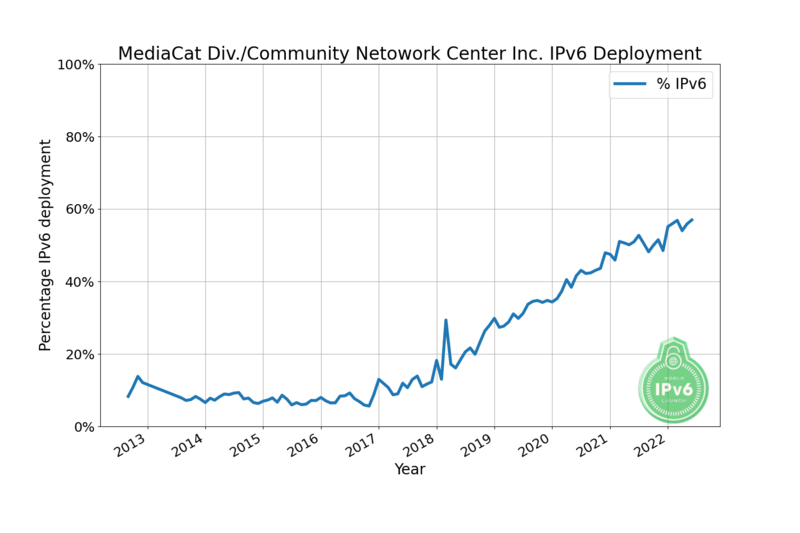 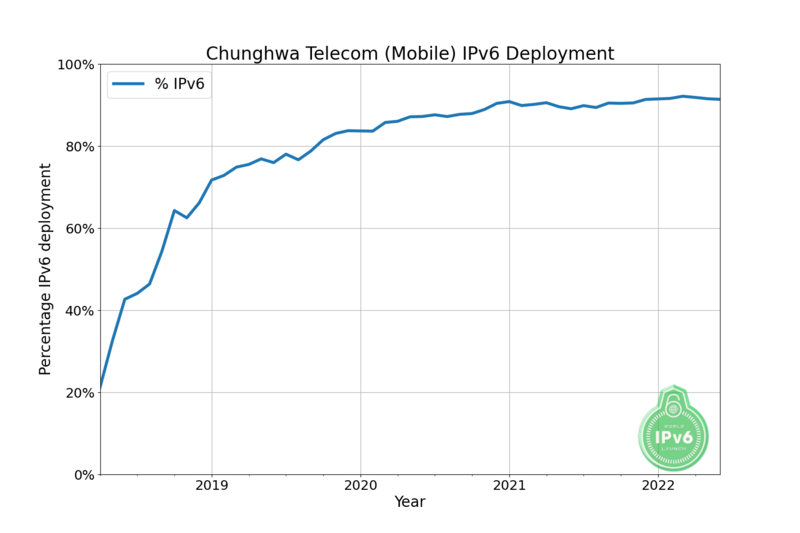 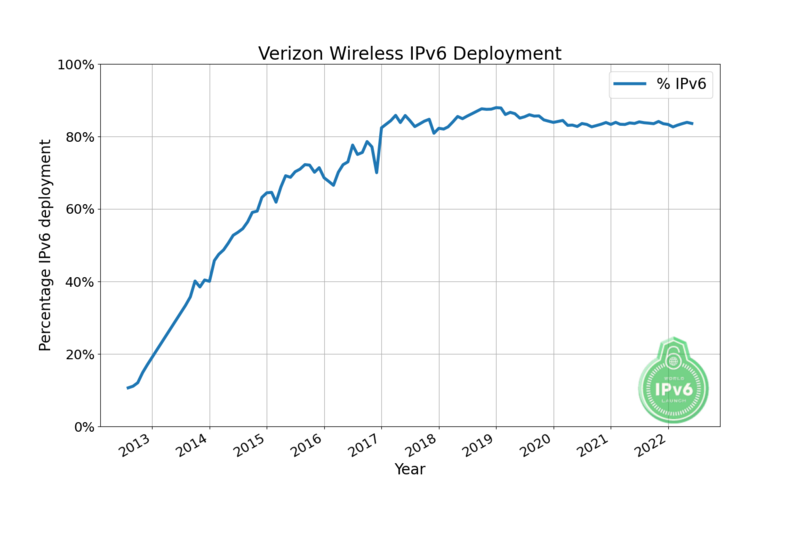 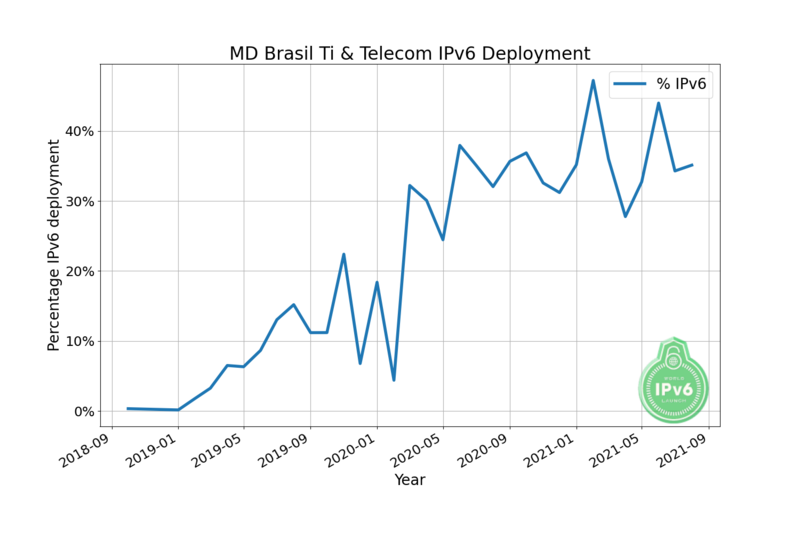 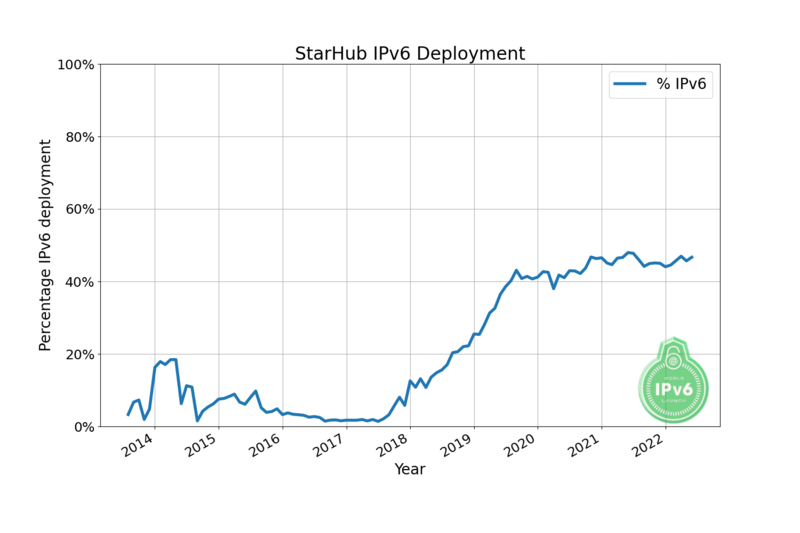 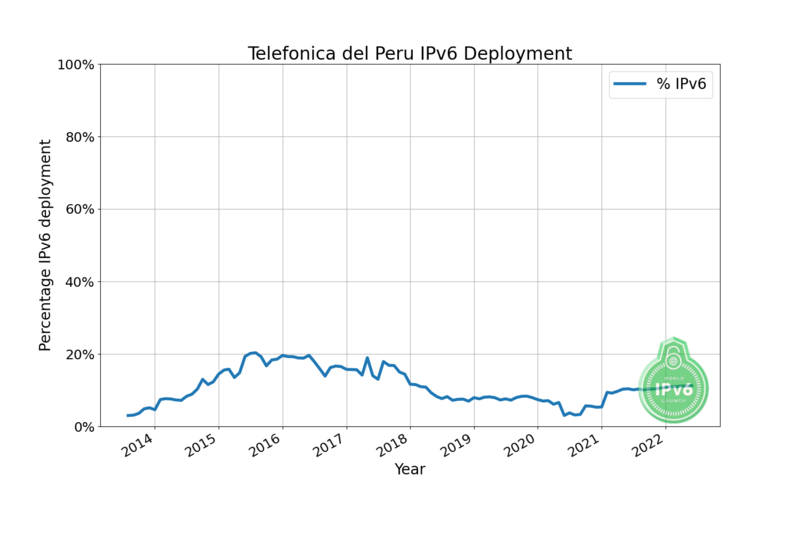 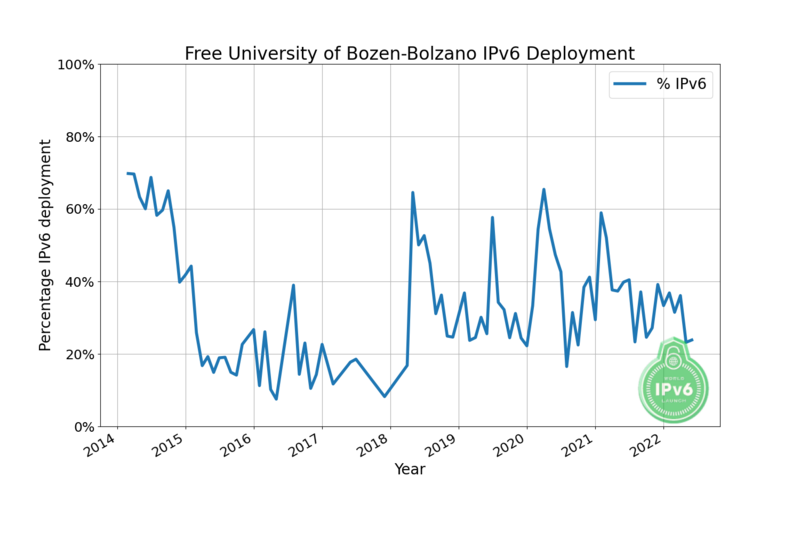 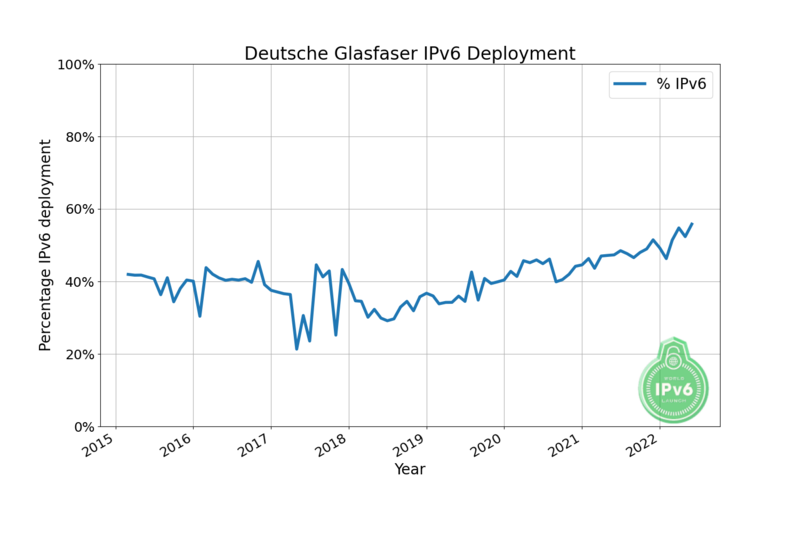 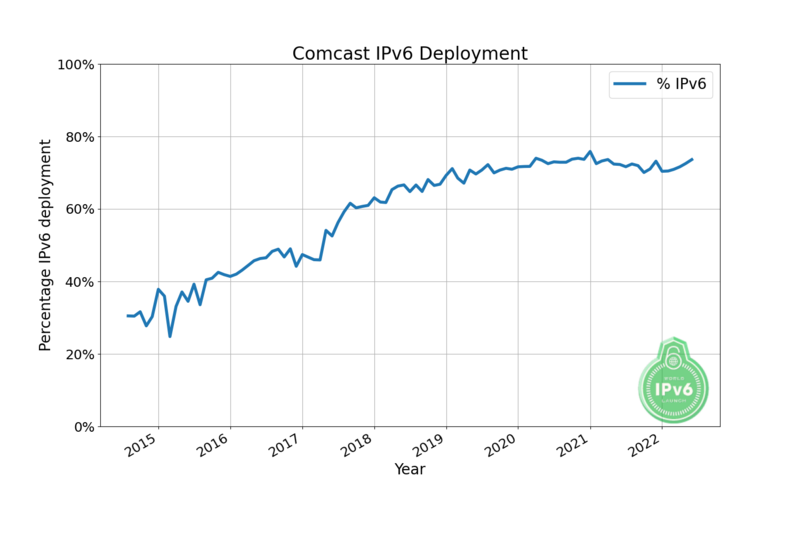 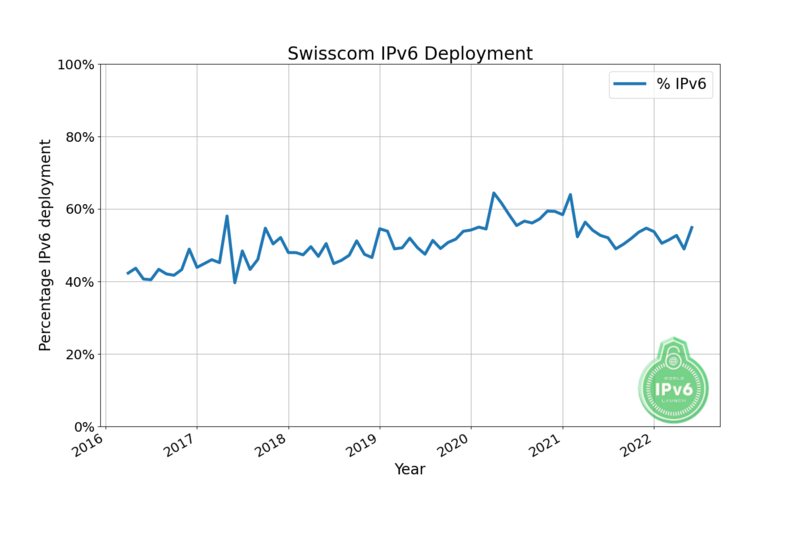 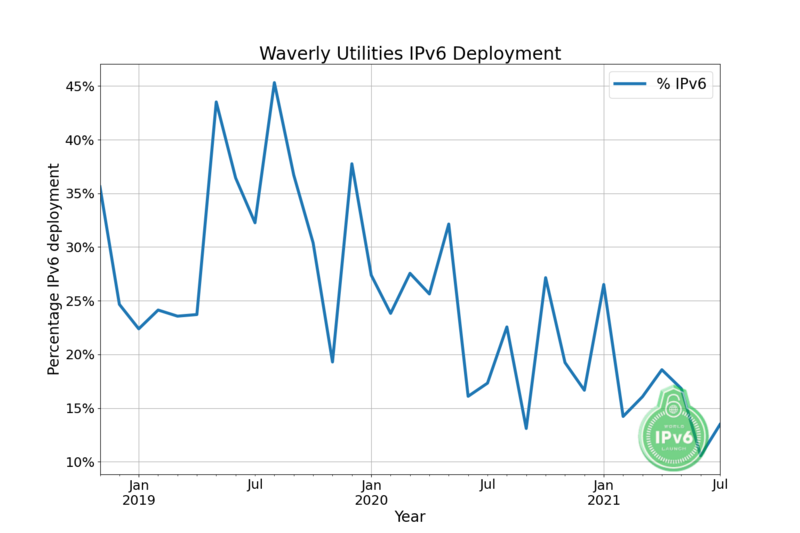 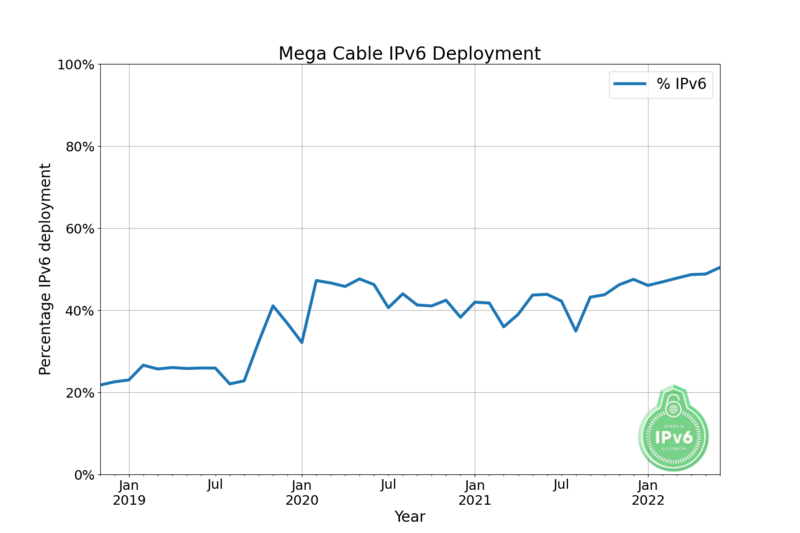 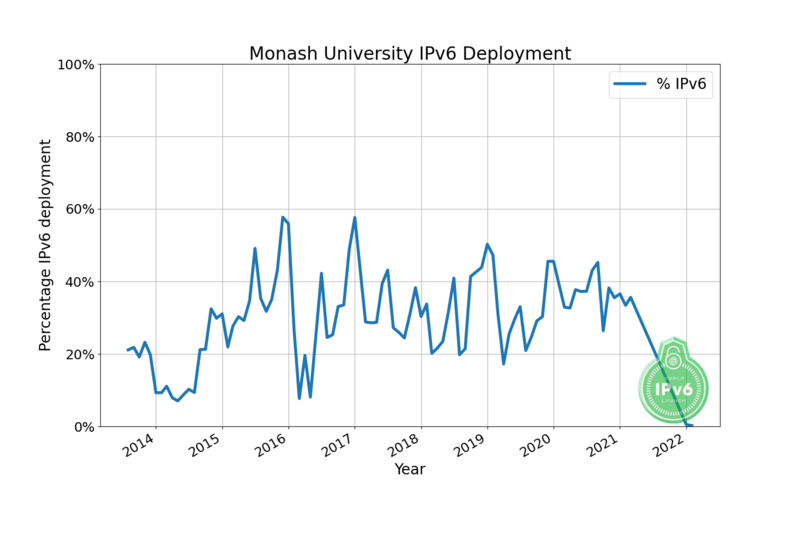 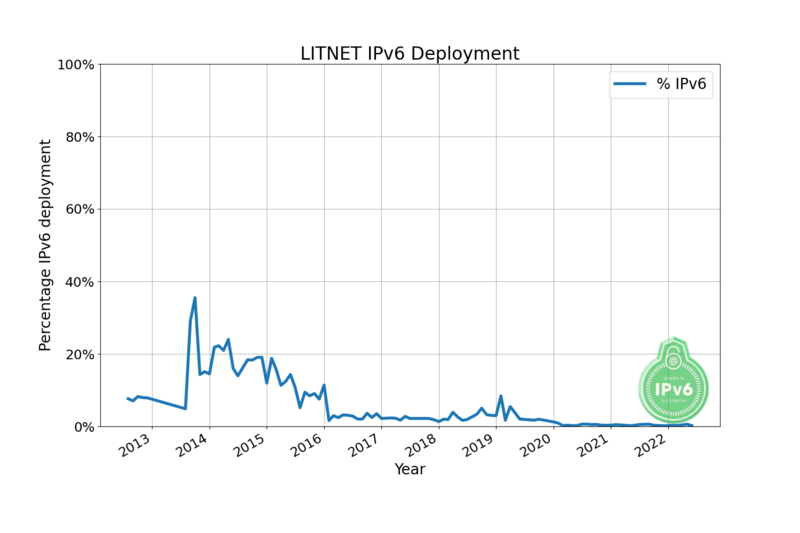 To understand our IPv6 Deployment metric, please read the notes below. 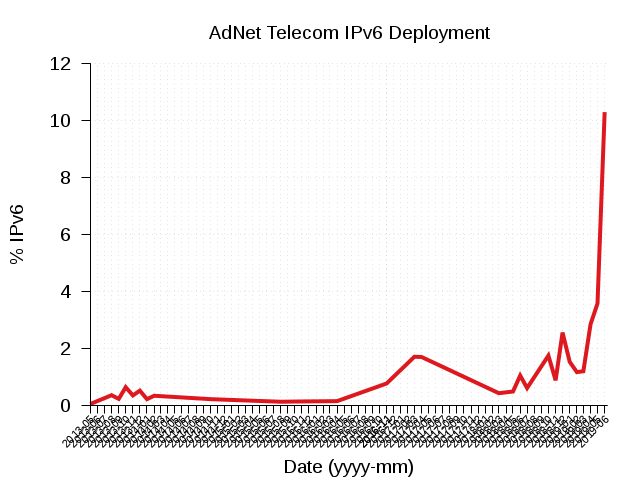 Results are ranked by overall traffic volume. Click on Participating Network name to view a longitudinal deployment graph for that network. 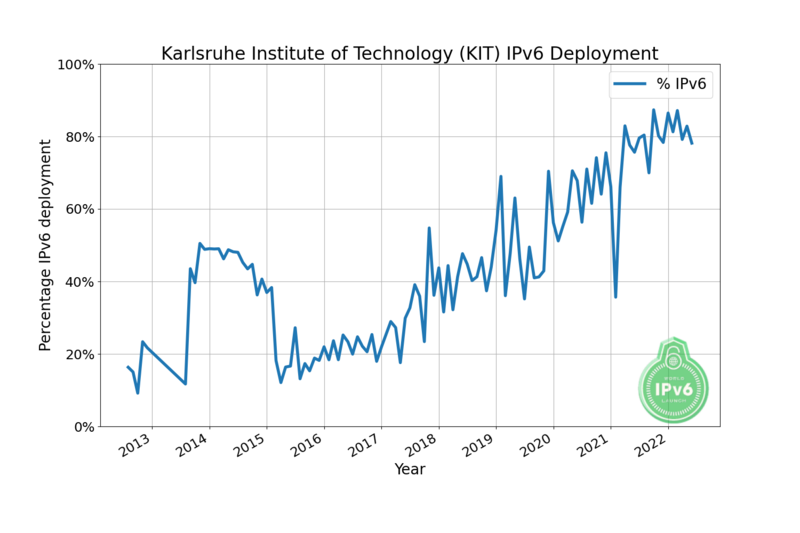 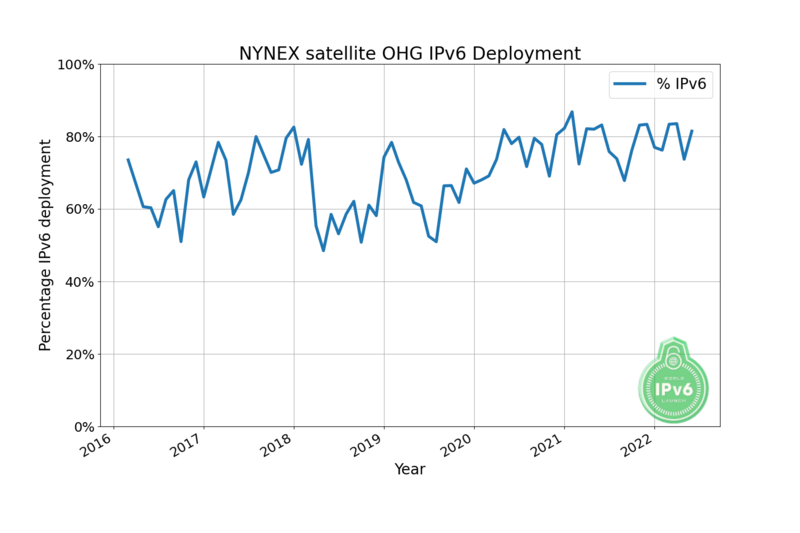 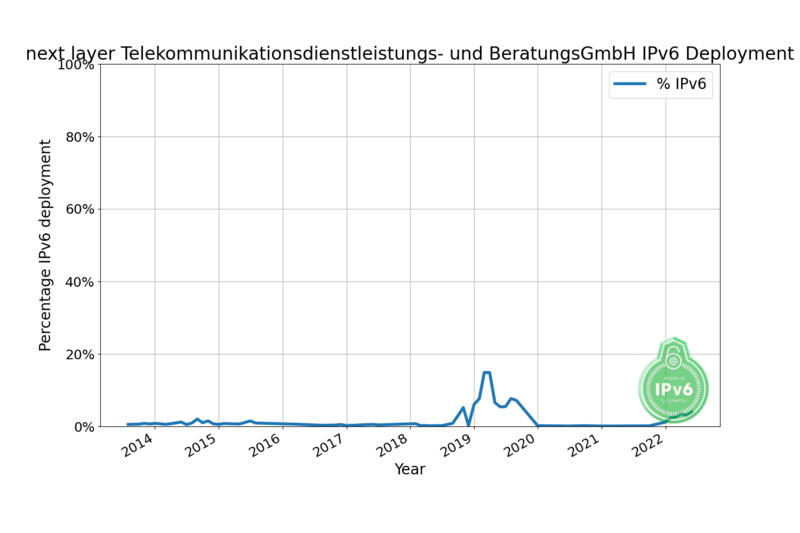 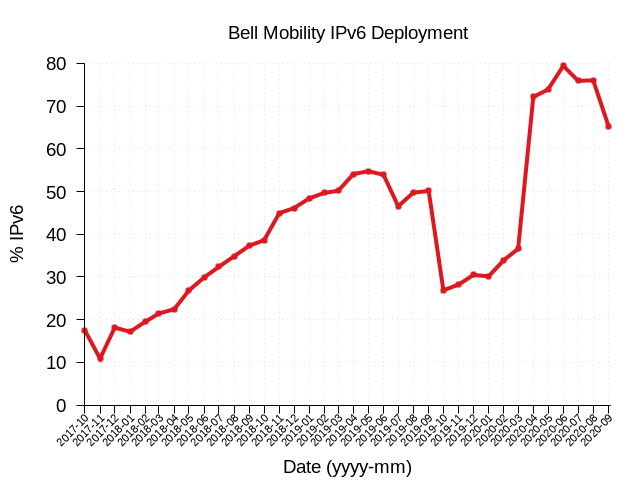 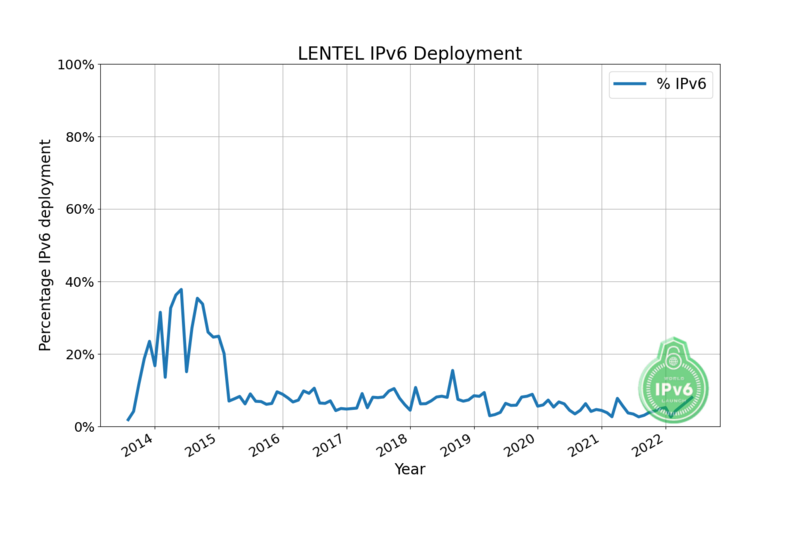 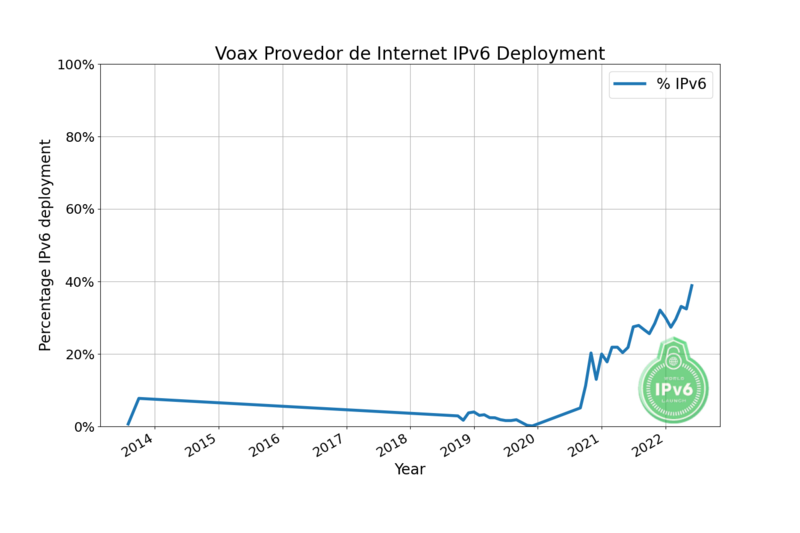 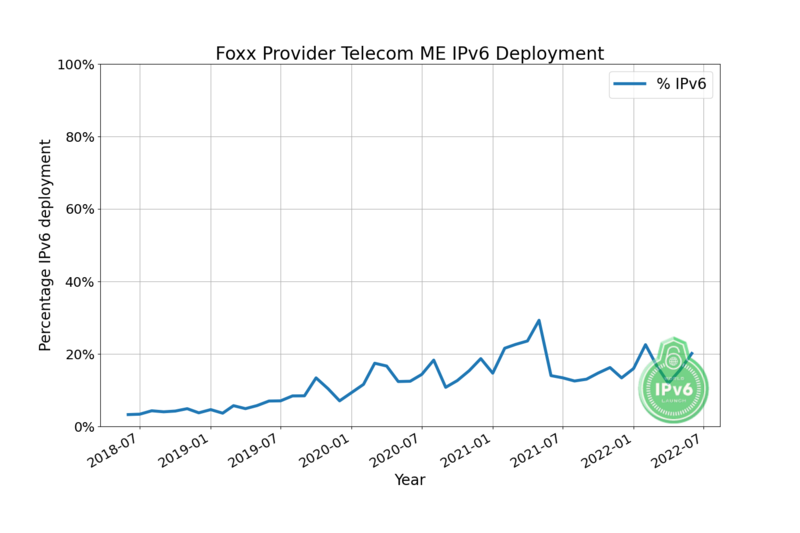 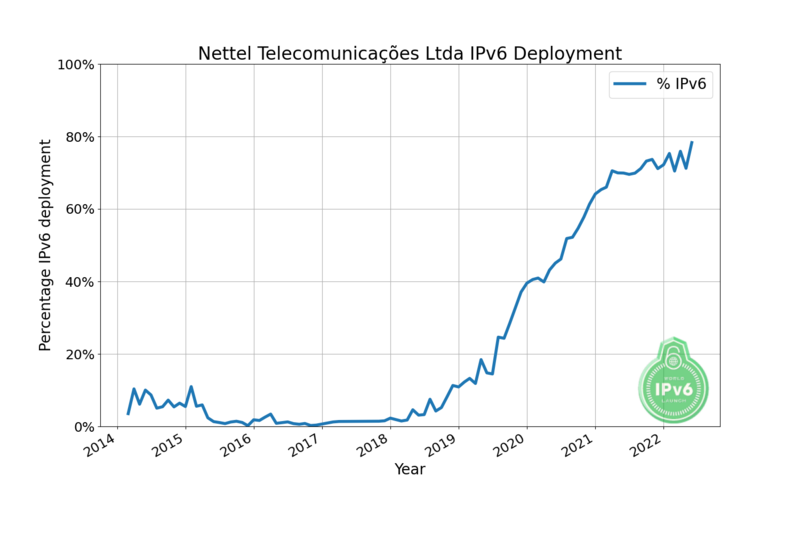 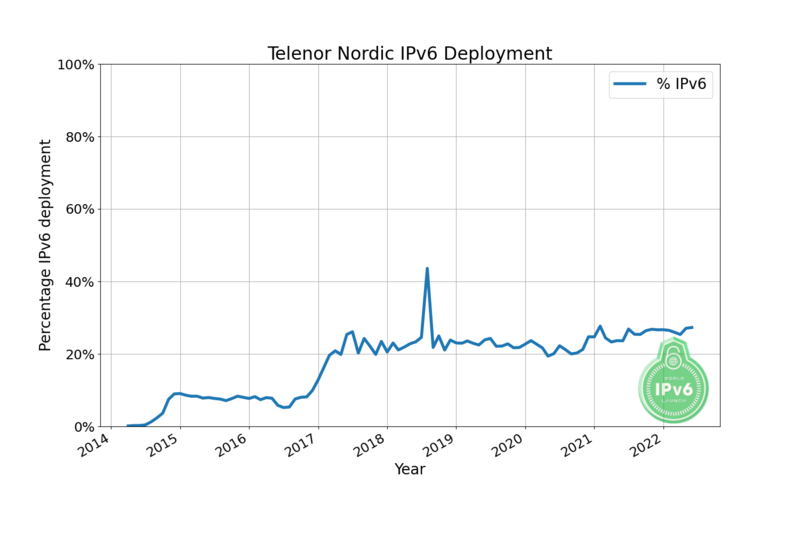 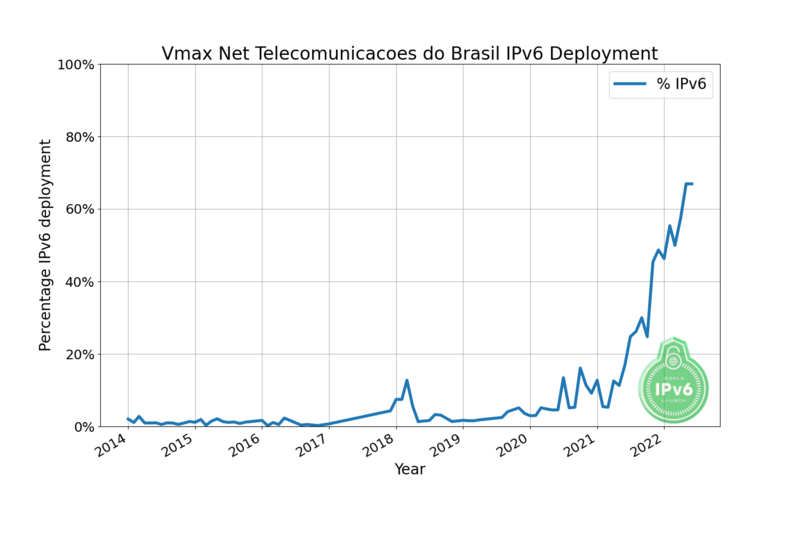 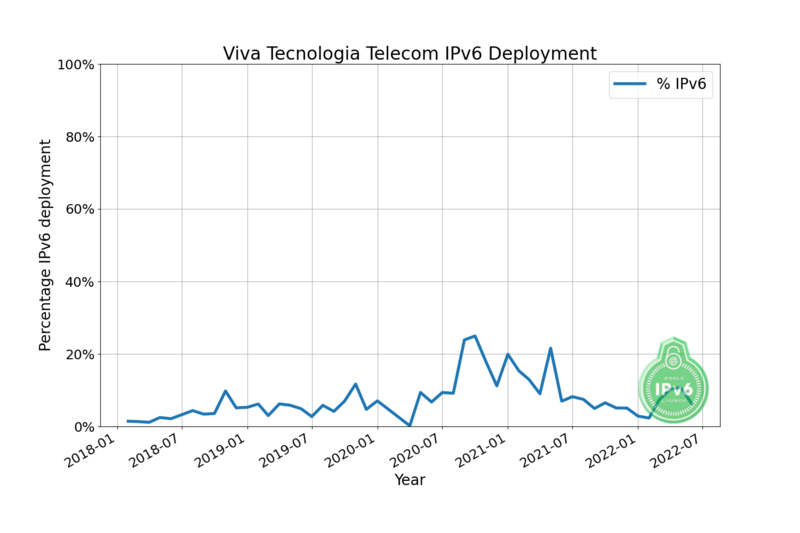 We present measurements of network operator participants in World IPv6 Launch, based on data received from major website participants, as described in more detail below. 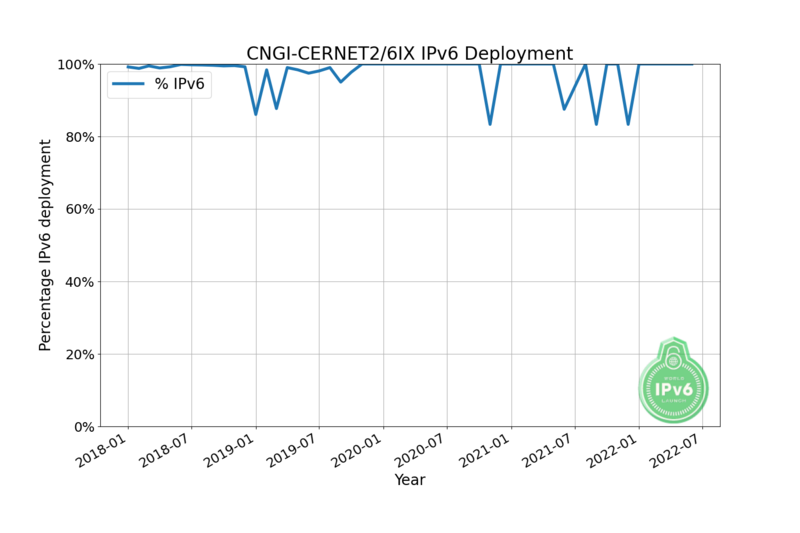 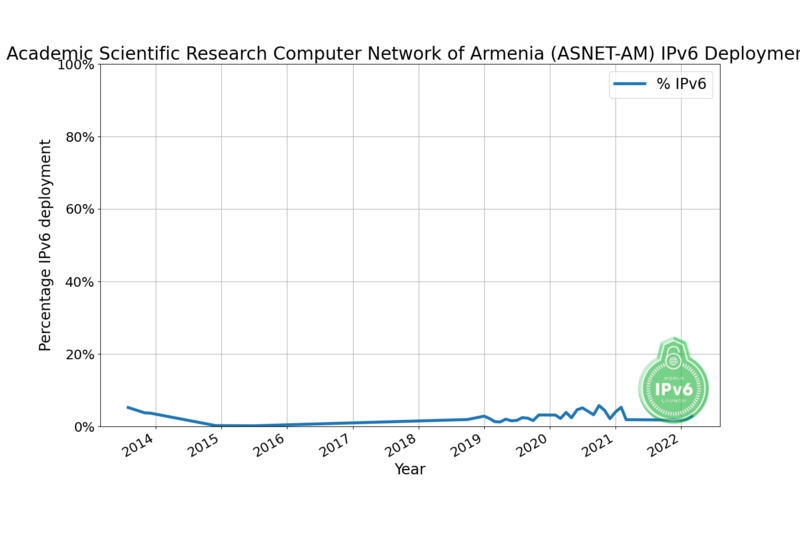 We present a simple average of the data received, and list all networks with measurements from at least two sources, with a simple average above 0.1%. 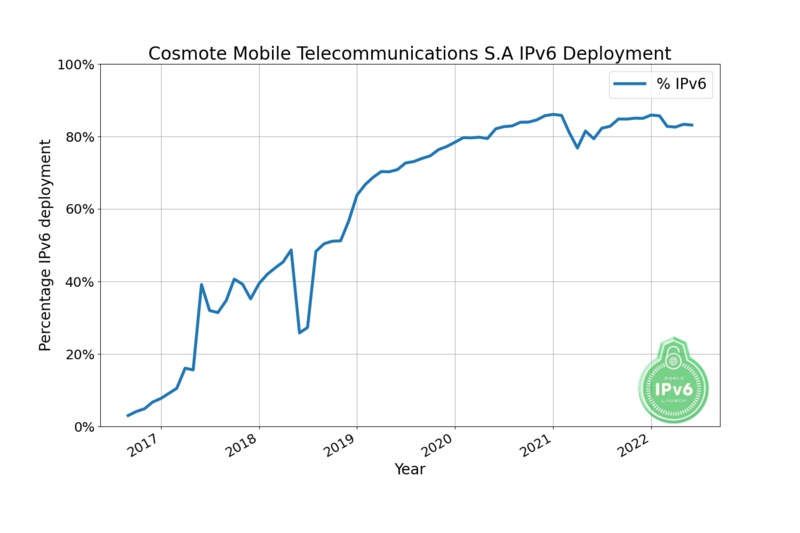 The network operator participants list includes some networks that measured above the threshold leading up to June 6th 2012, but for which we have insufficient measurement data to list here. 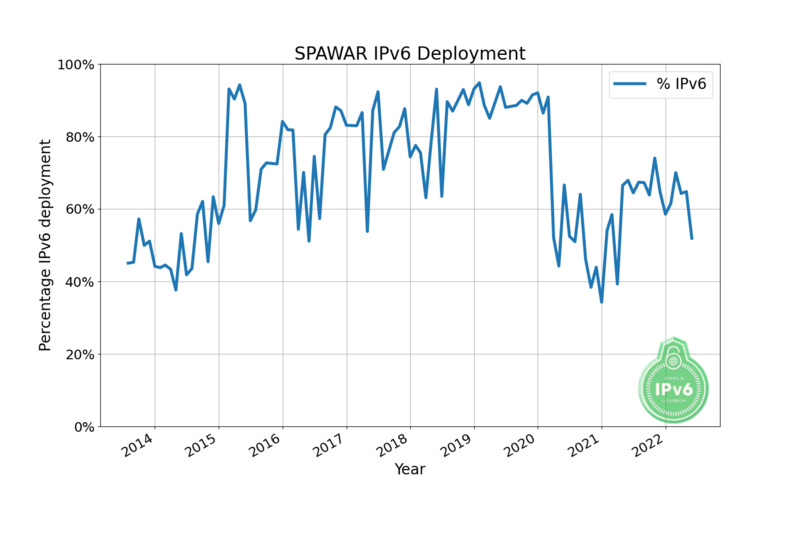 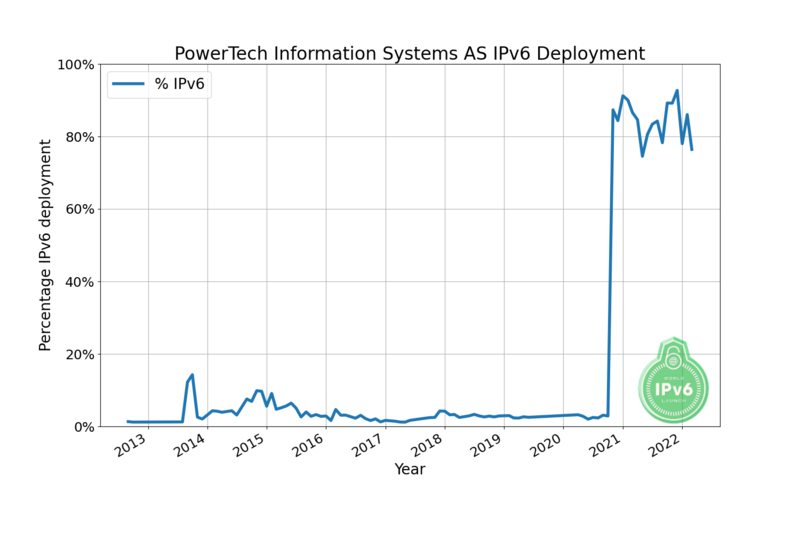 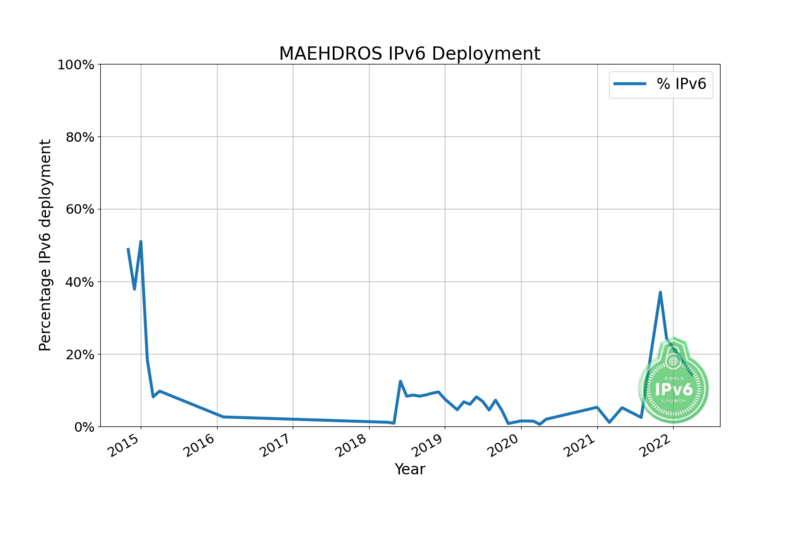 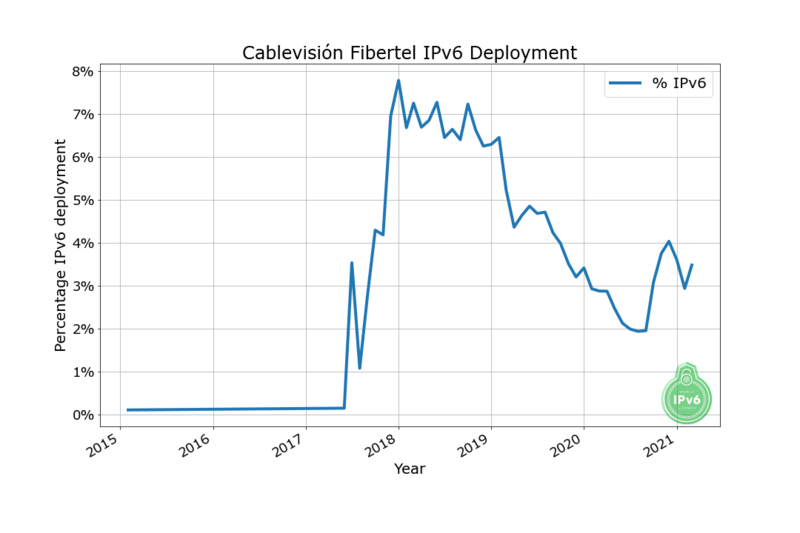 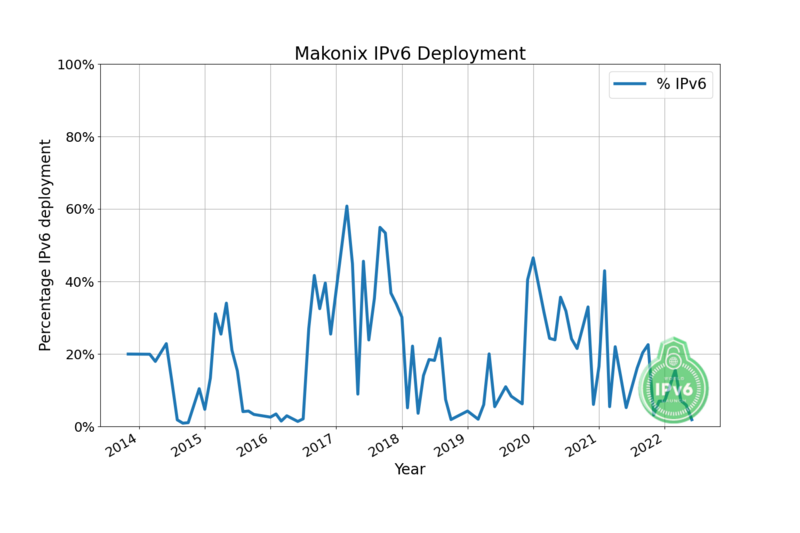 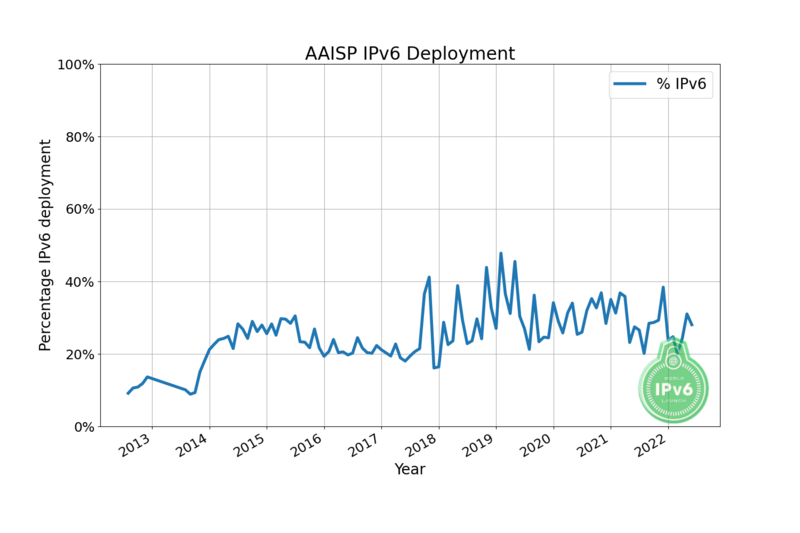 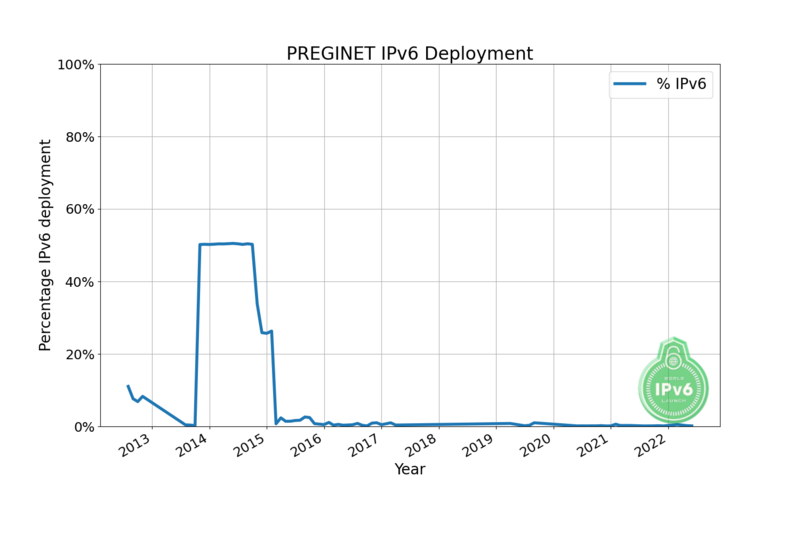 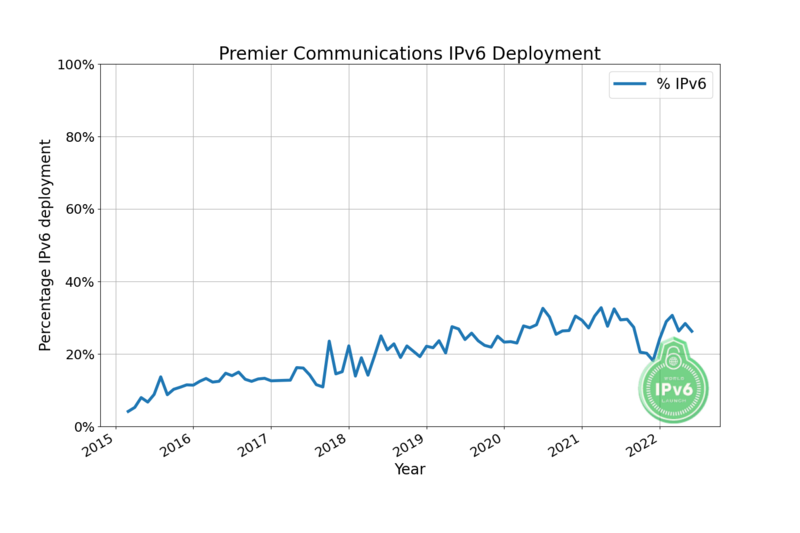 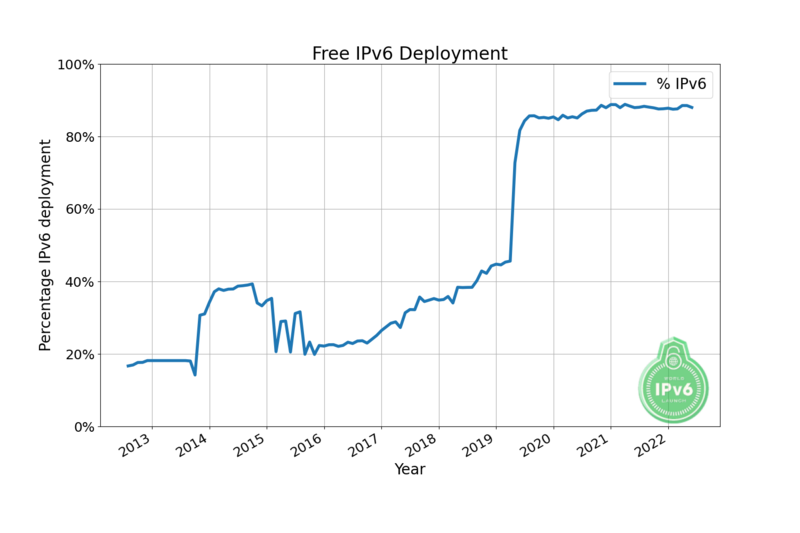 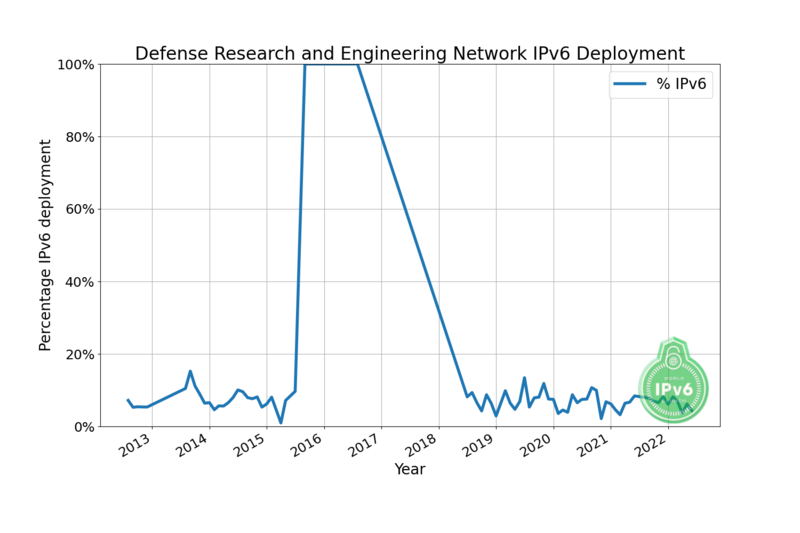 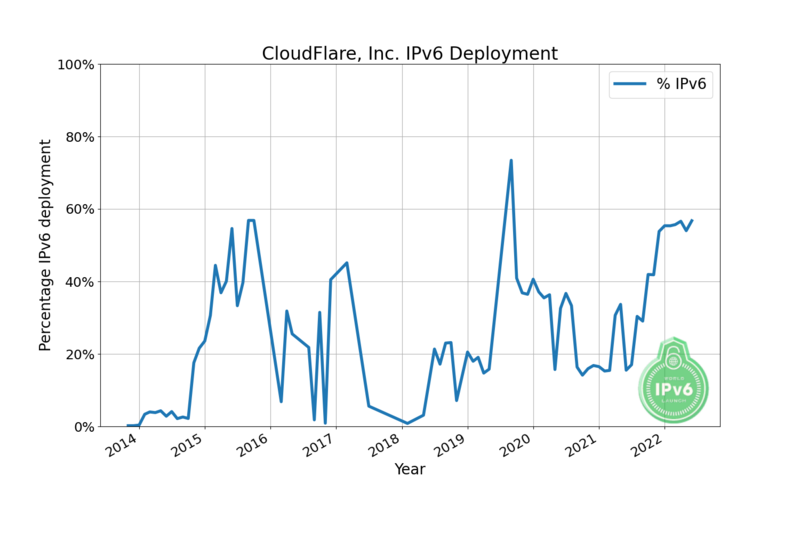 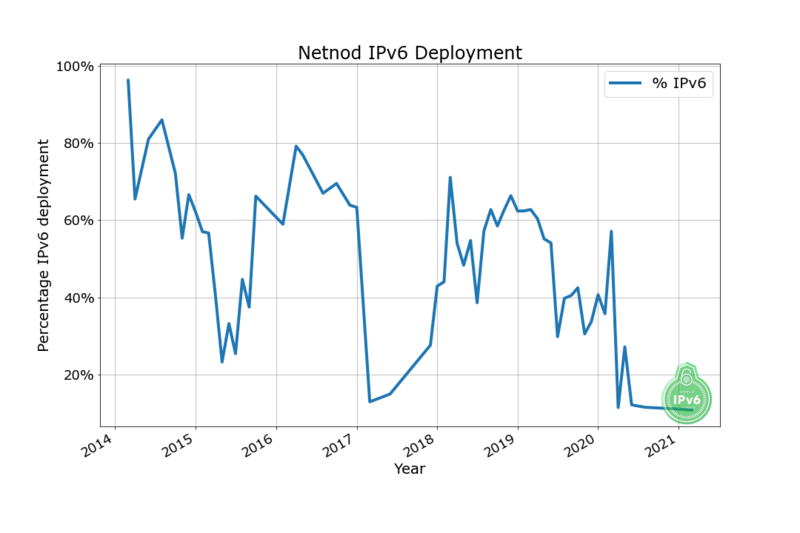 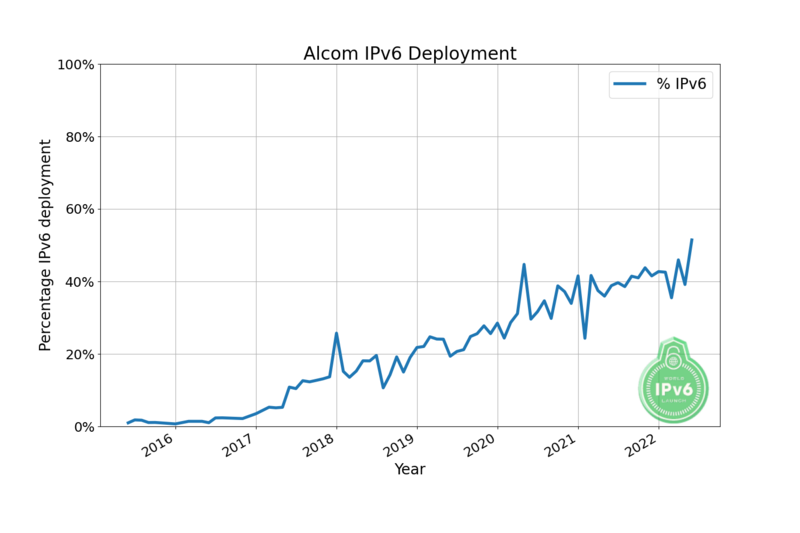 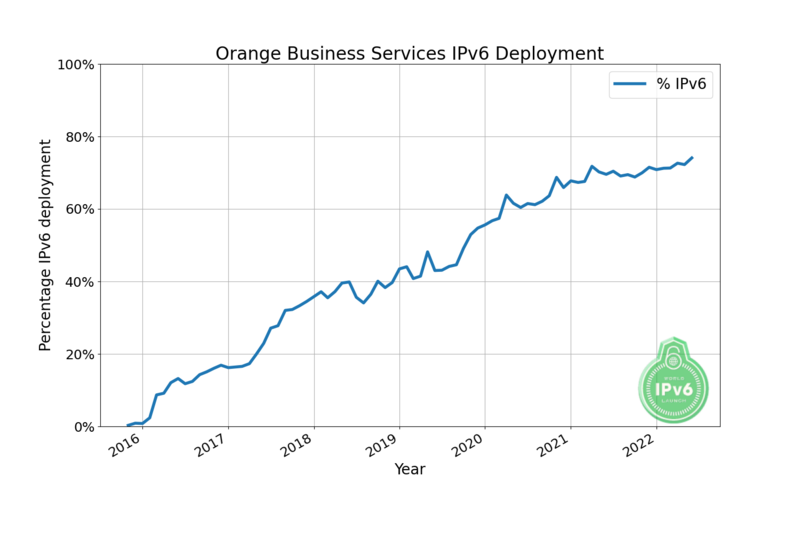 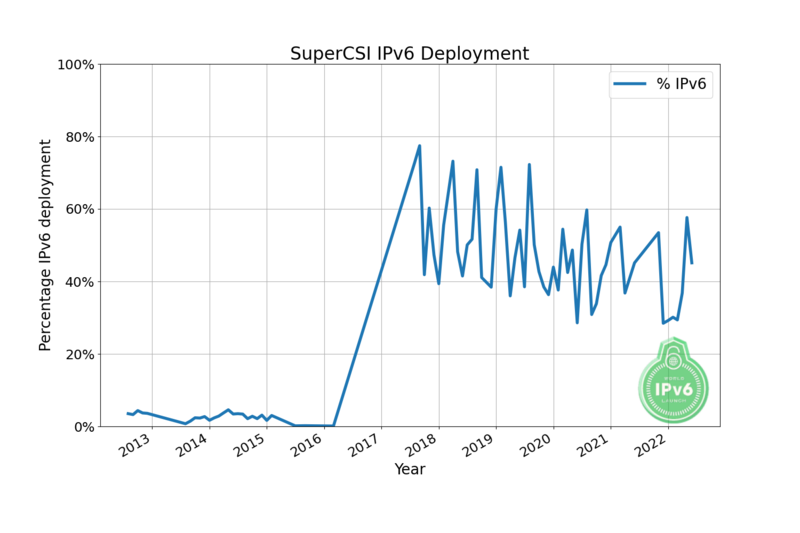 Akamai: We are reporting adoption rates based on the percentage of IPv6 requests we receive to a selection of dual-stacked properties on Akamai's content, site, and application delivery platform. 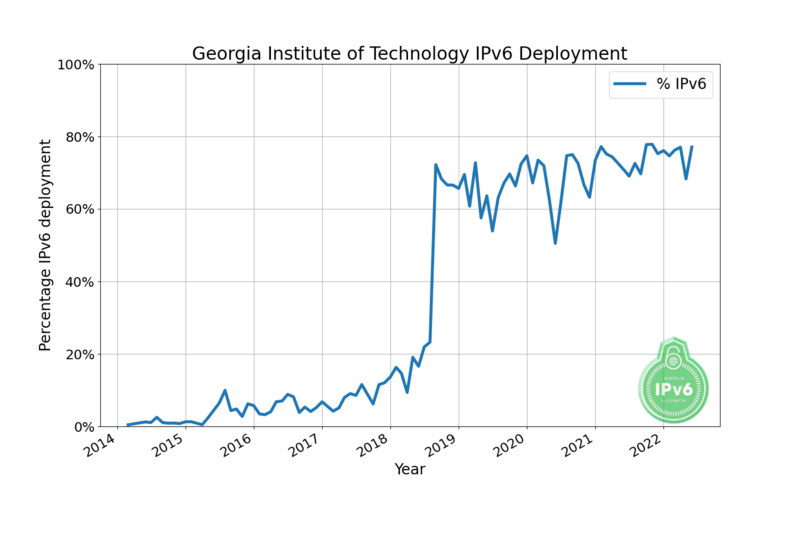 The hundreds of billions of IPv4 and IPv6 requests analyzed across a 24-hour window represent traffic to a diverse set of customer sites across various industries, geographies, and user populations. 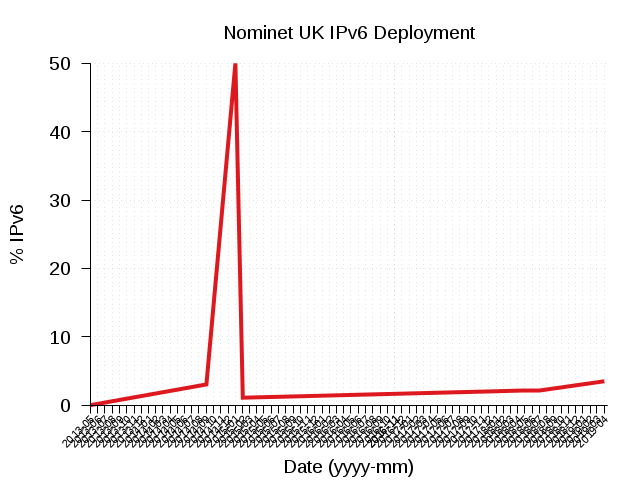 Facebook: On June 6th, we examined page loads from randomly selected users. 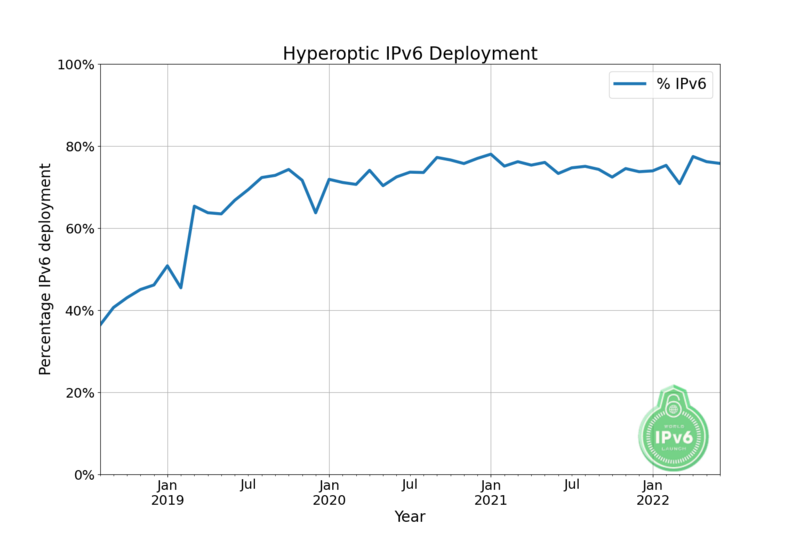 For each user we are able to test if they are using IPv6 to communicate with Facebook. 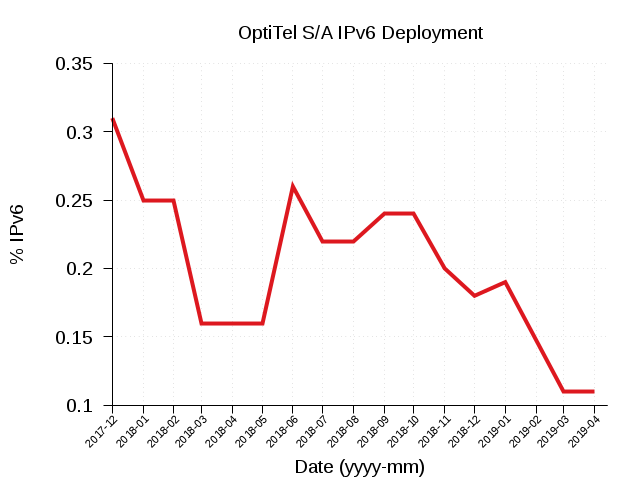 We also know which ISP (World IPv6 Launch participant) they are using at their location. After collecting all data for June 6th, we calculated the percent of unique IPv6 users out of total unique users we saw from each ISP. 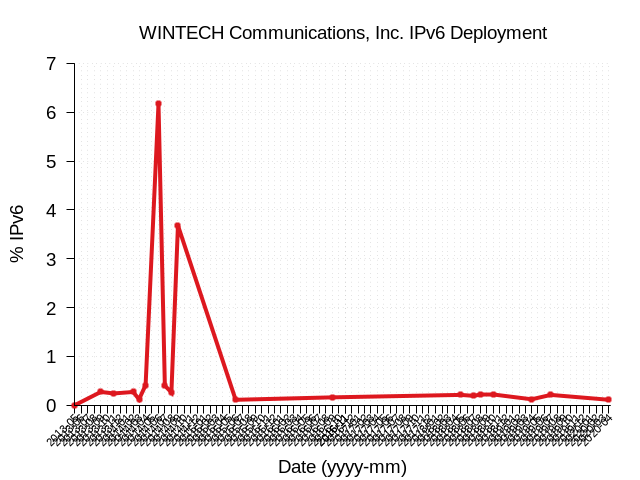 Many millions of page loads were in our 24-hour data capture for these statistics.